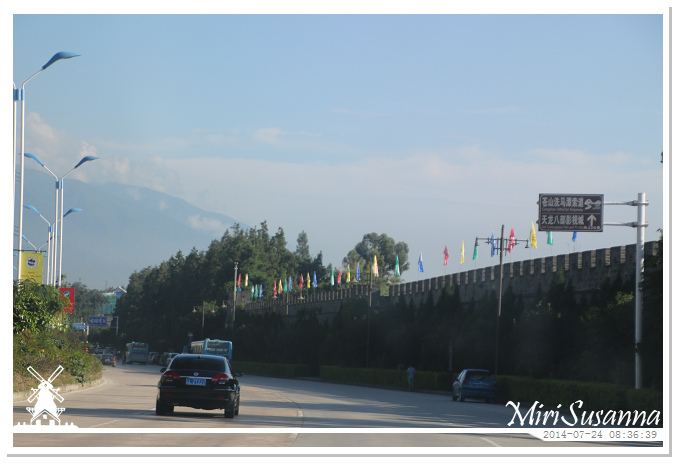 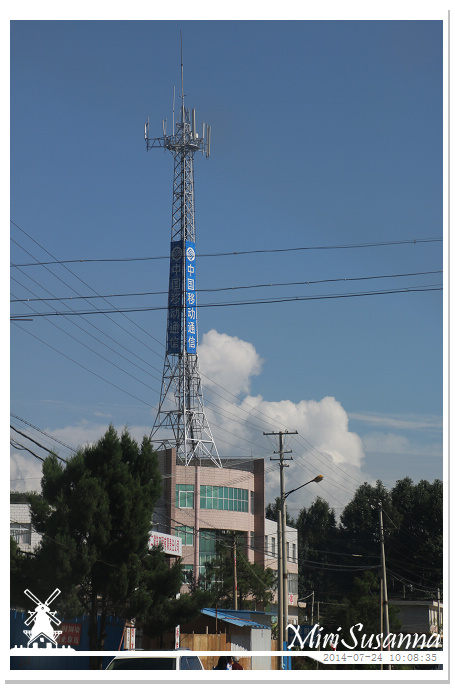 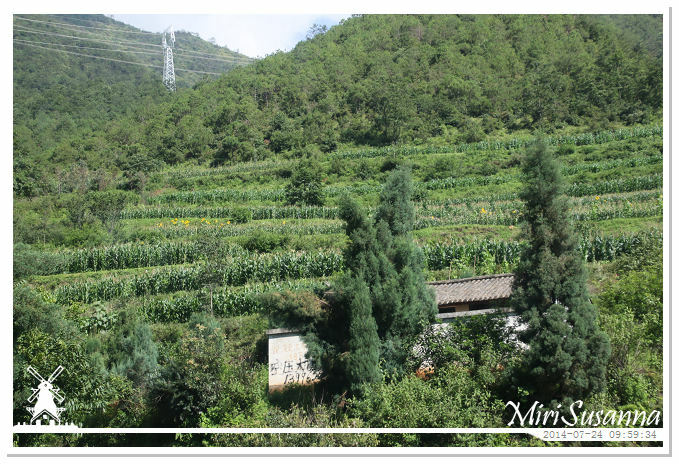 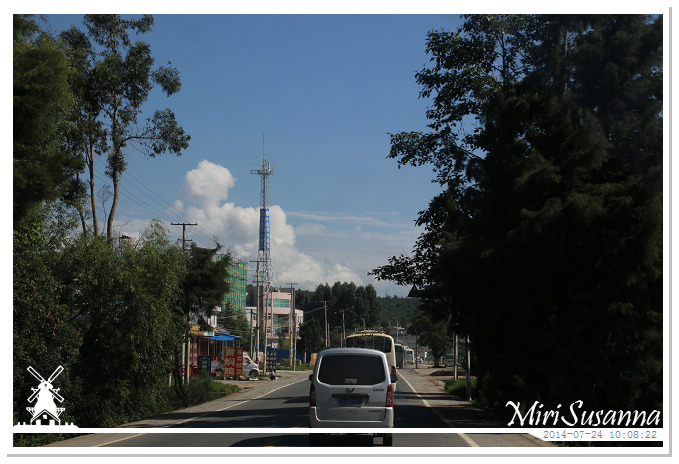 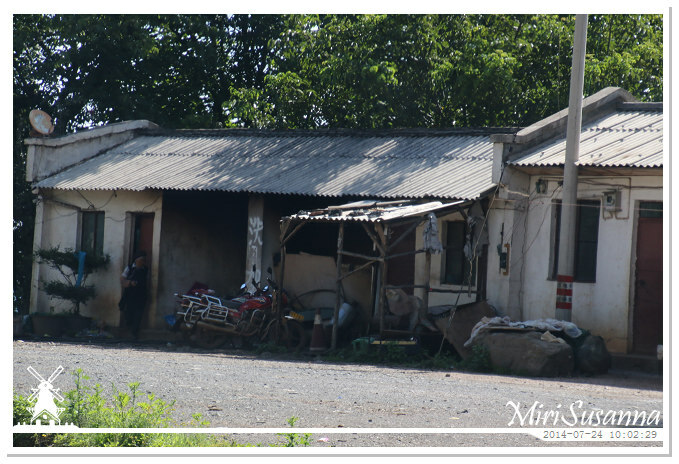 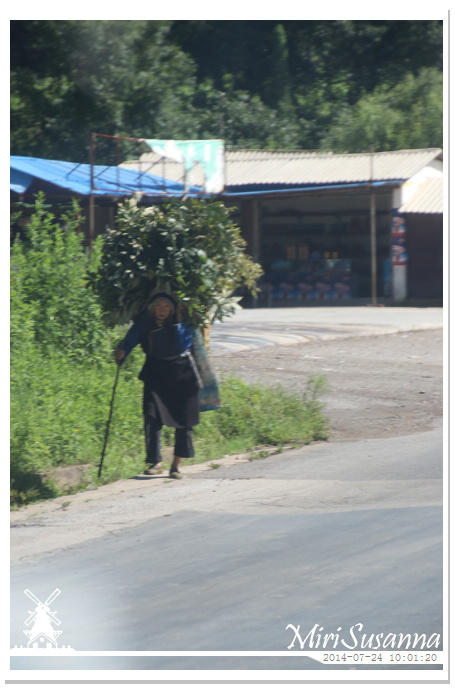 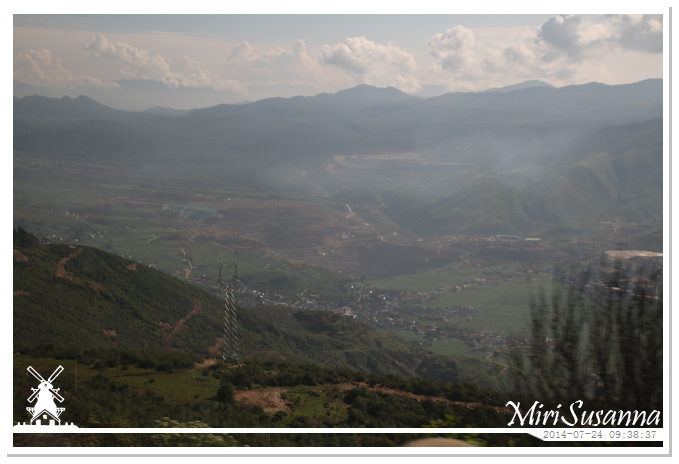 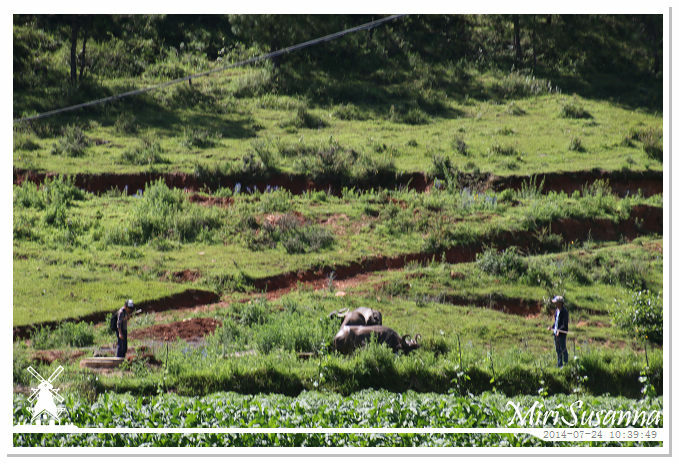 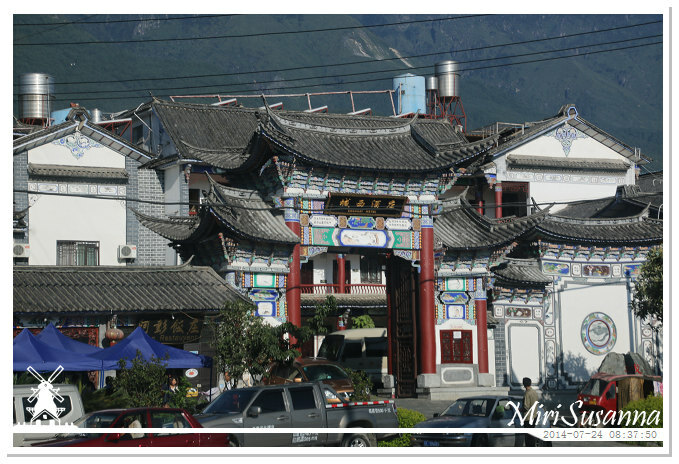 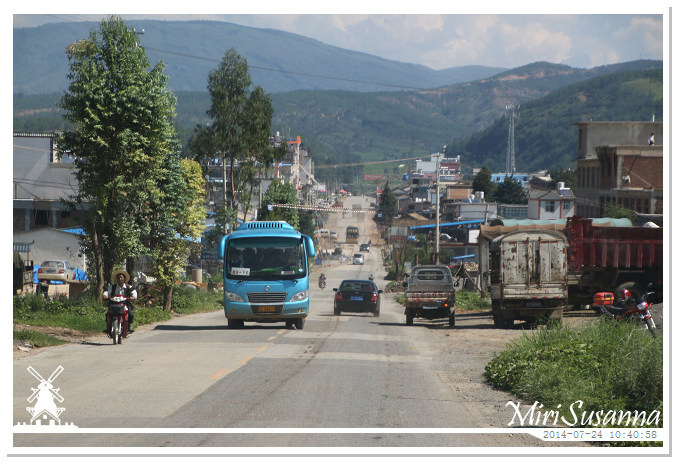 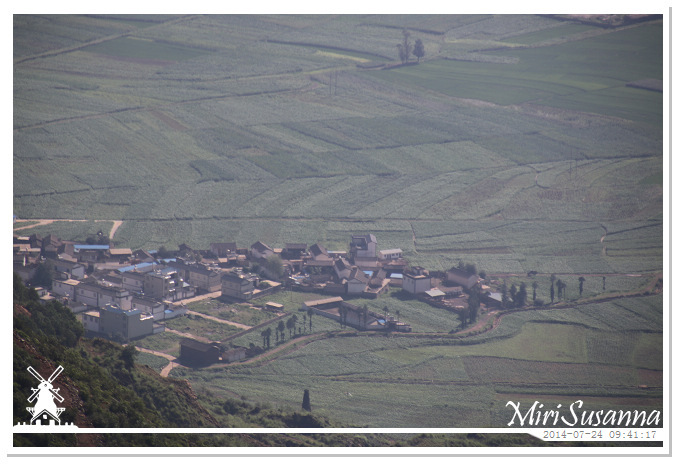 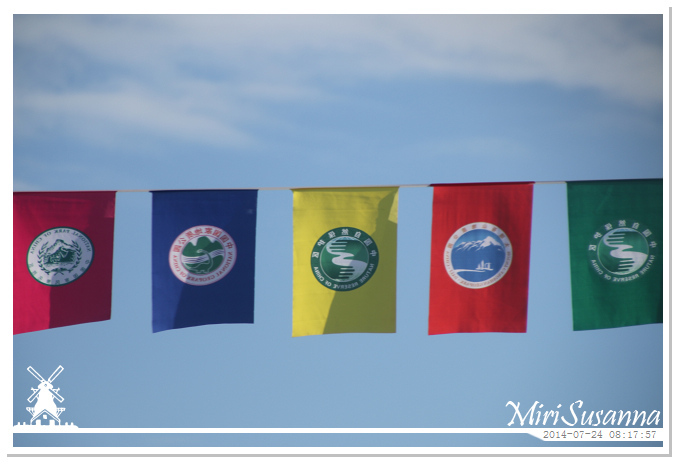 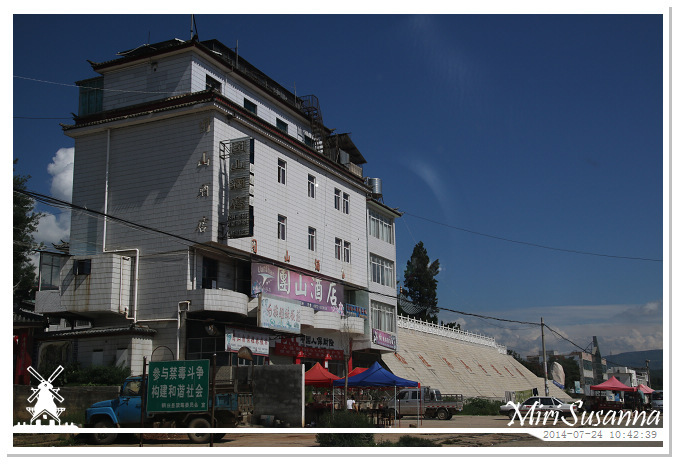 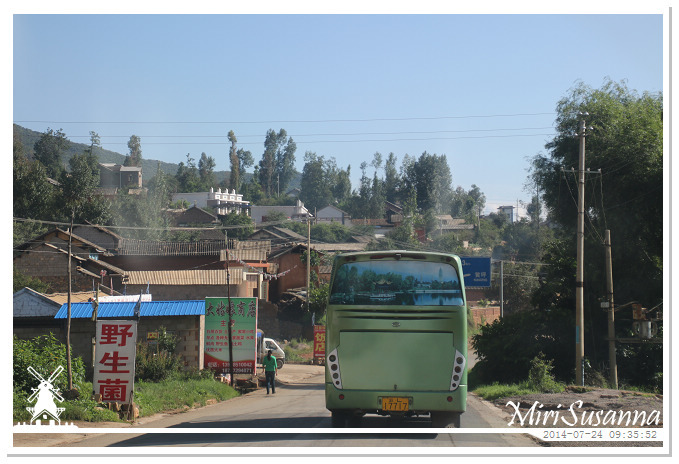 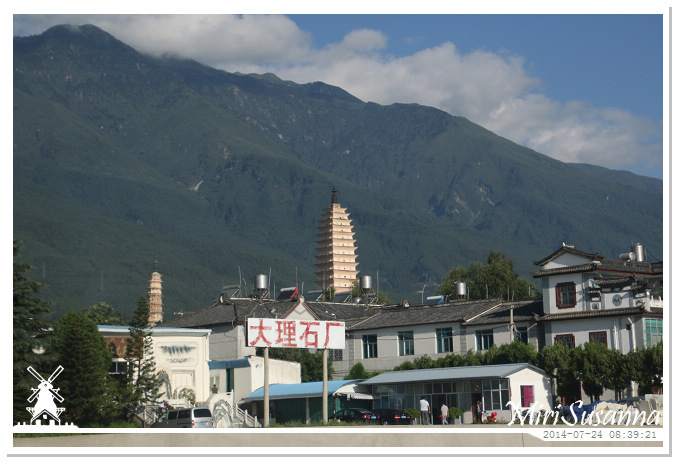 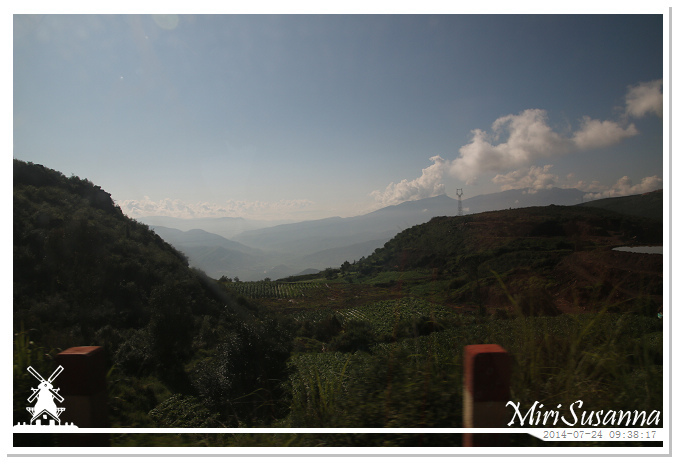 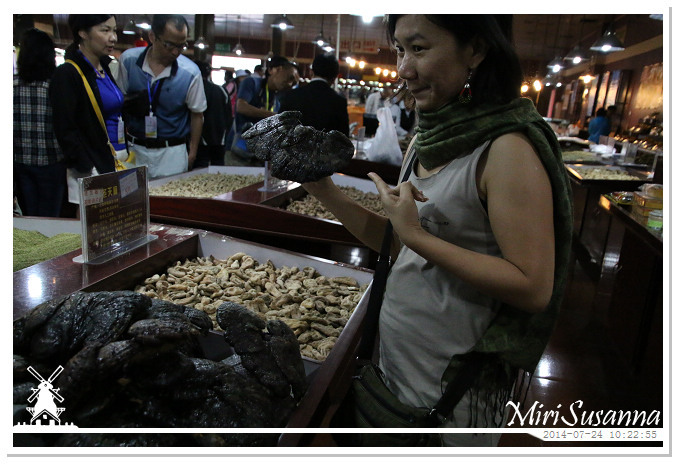 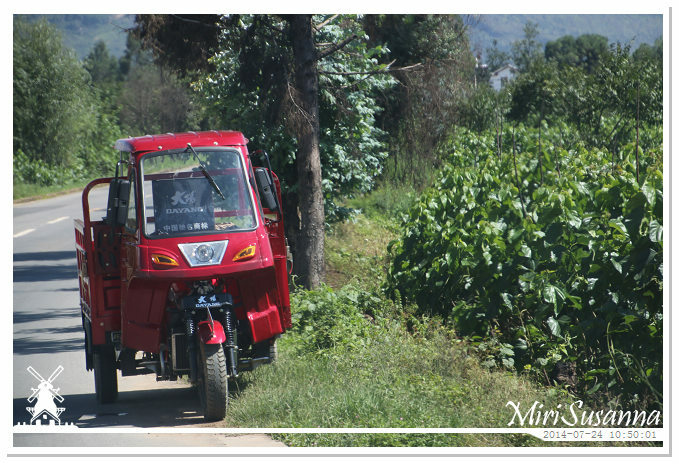 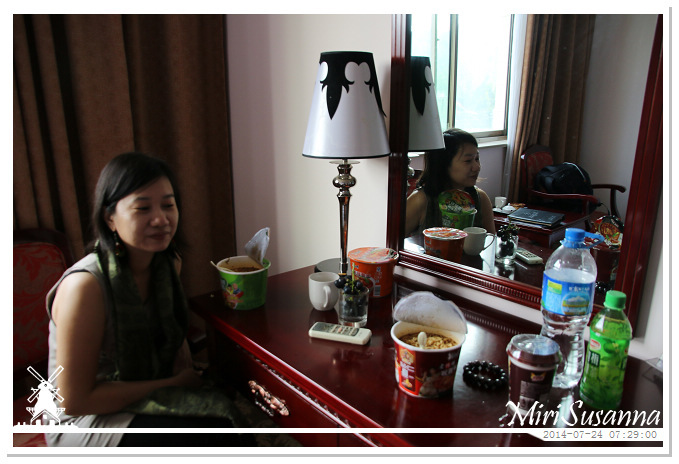 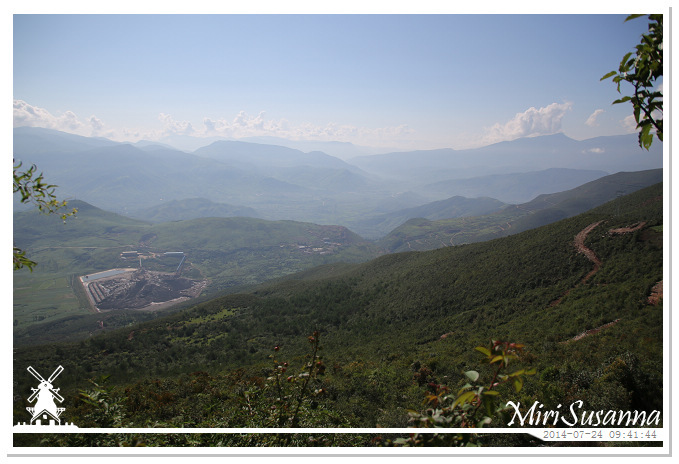 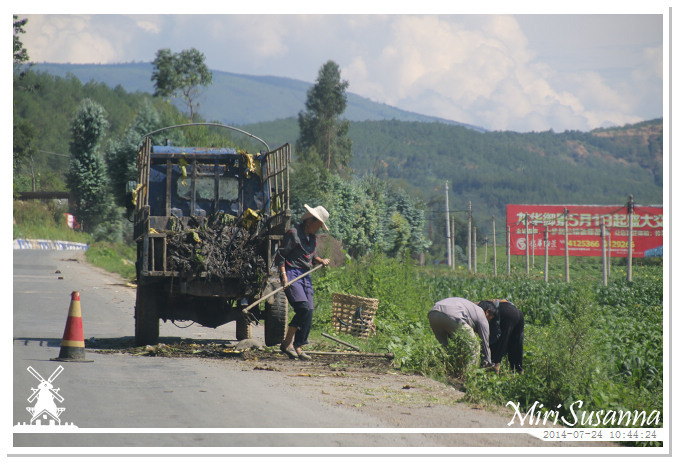 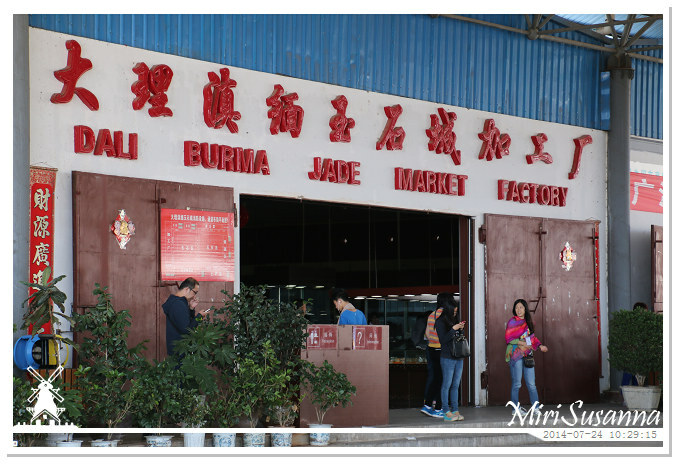 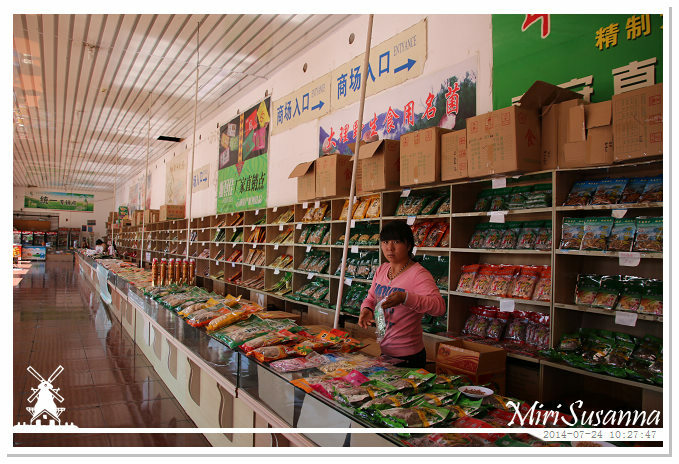 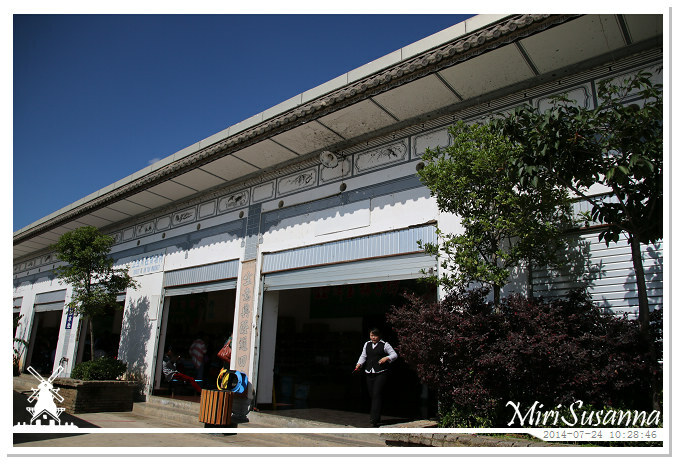 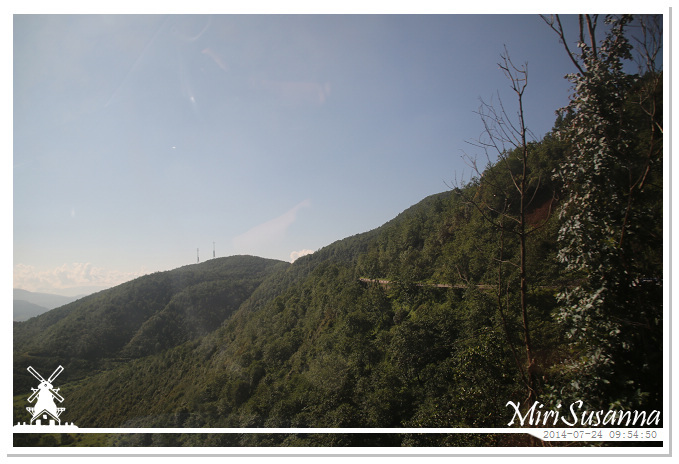 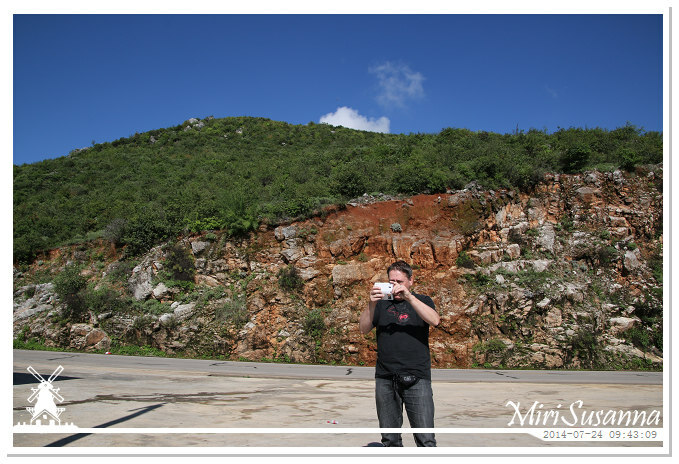 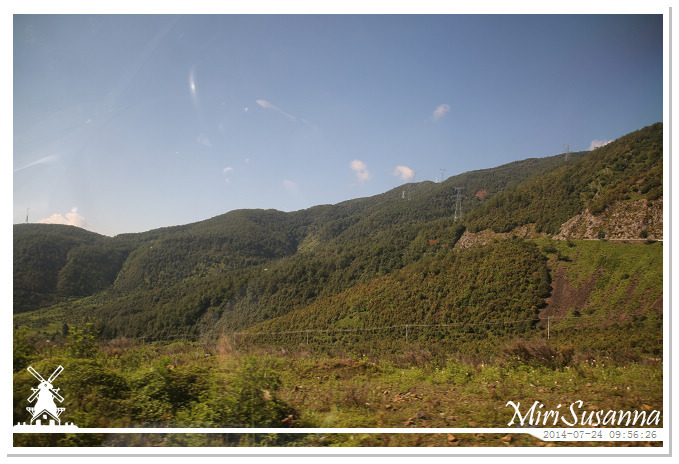 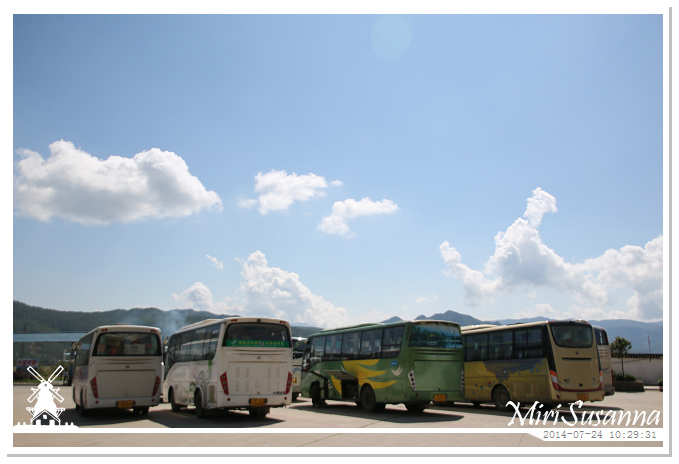 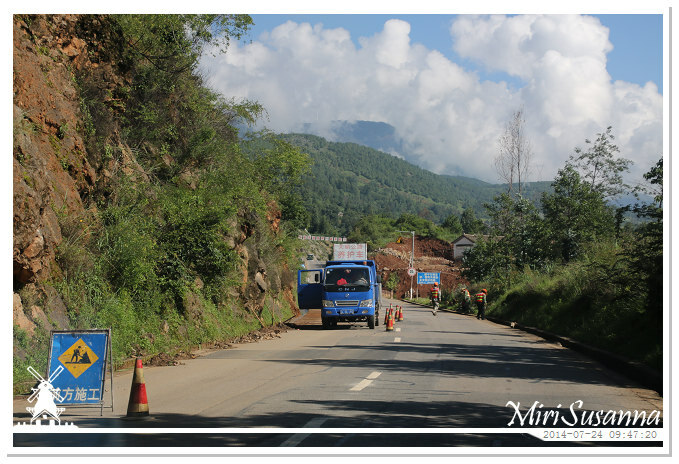 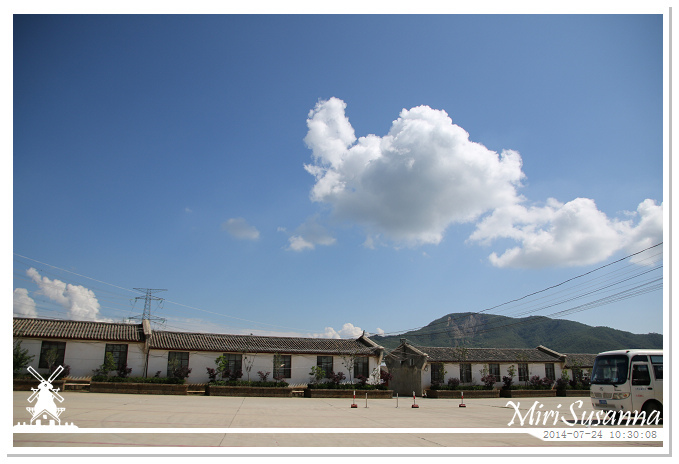 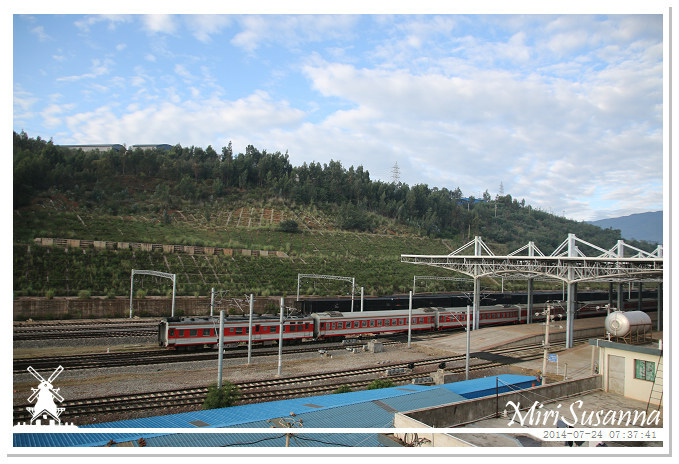 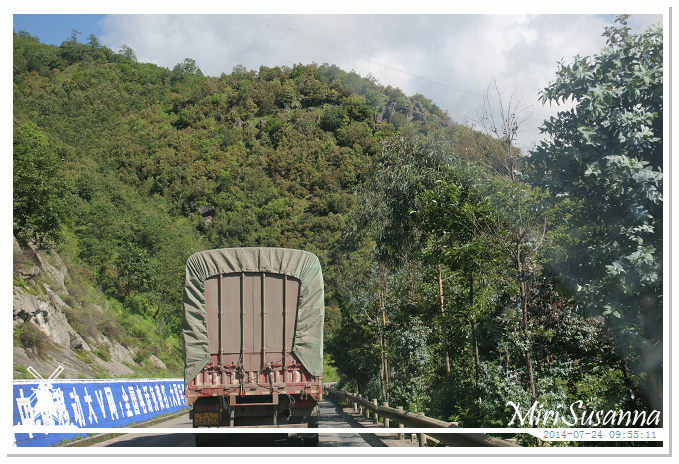 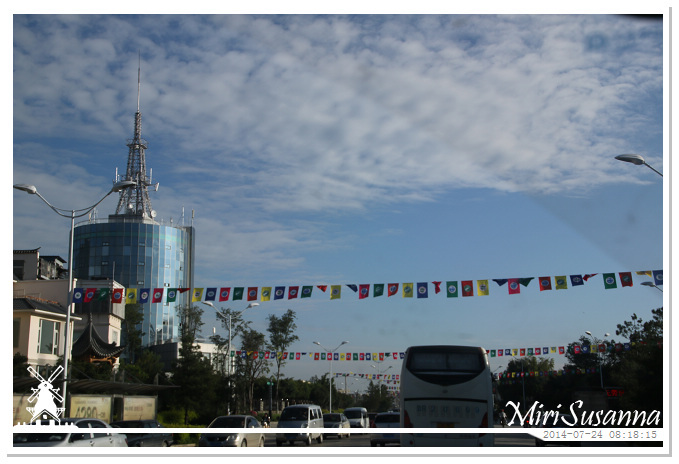 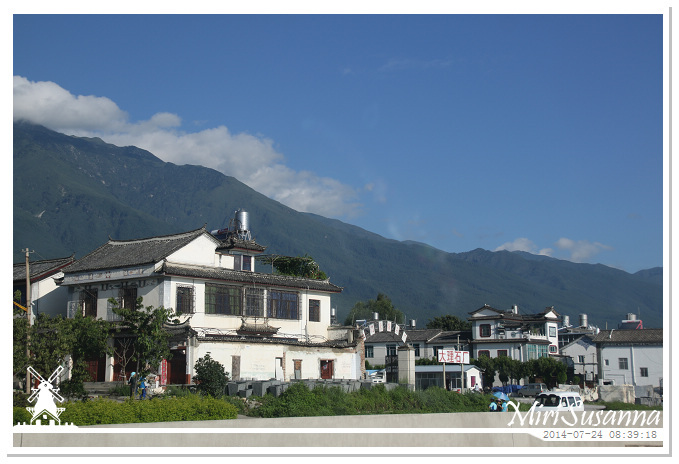 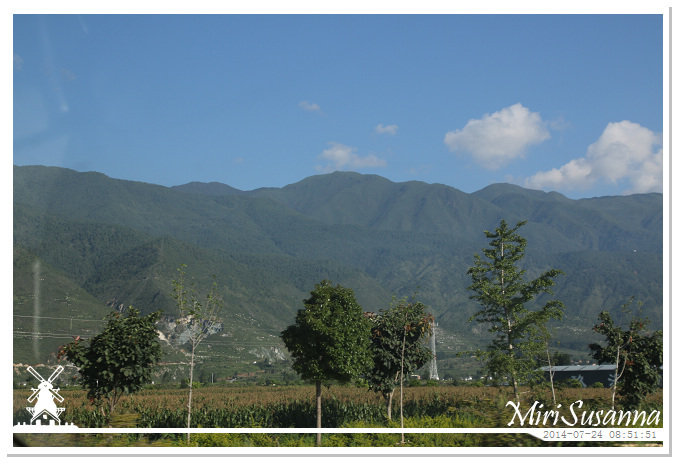 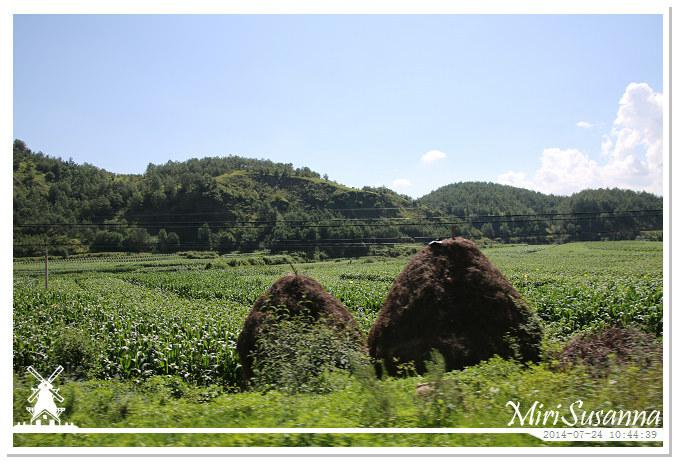 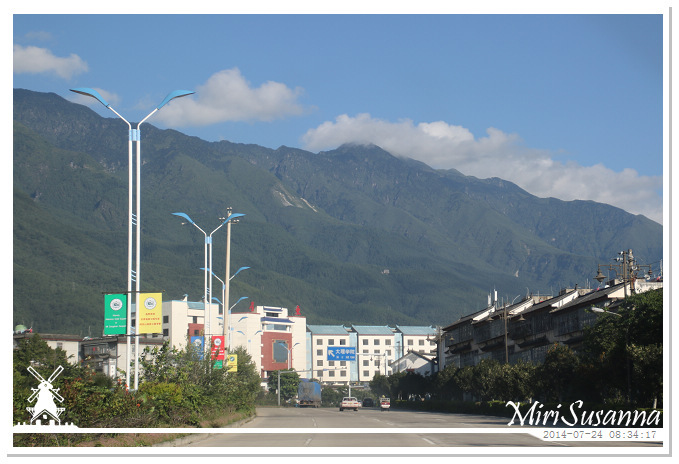 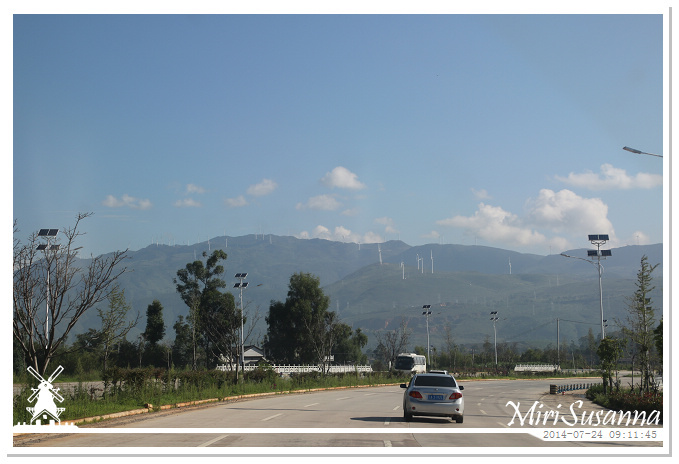 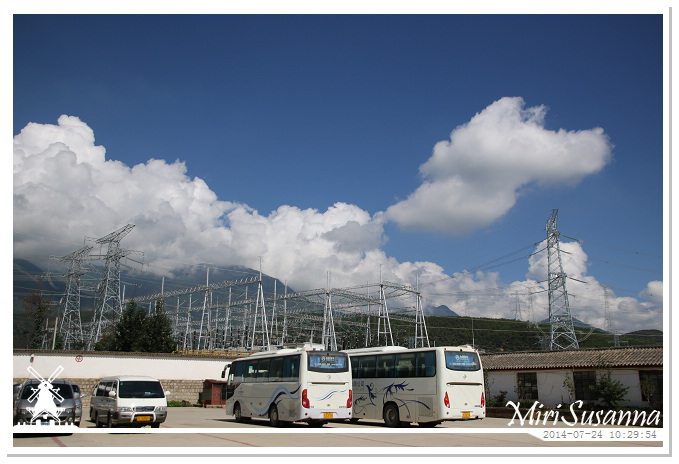 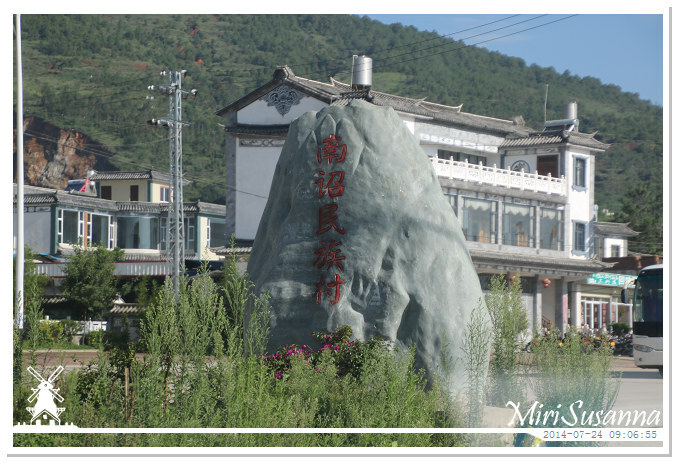 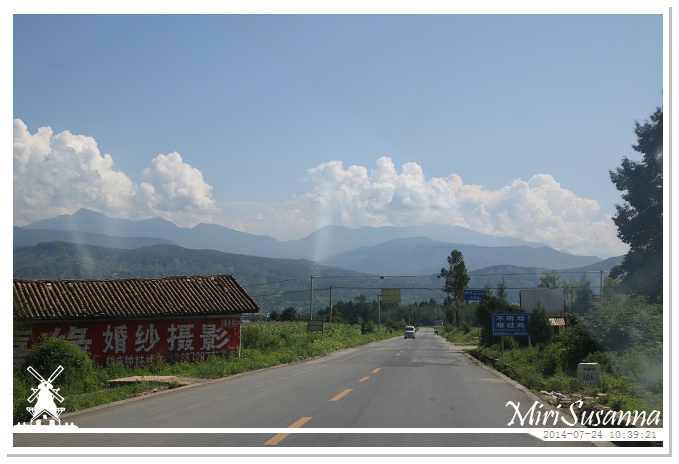 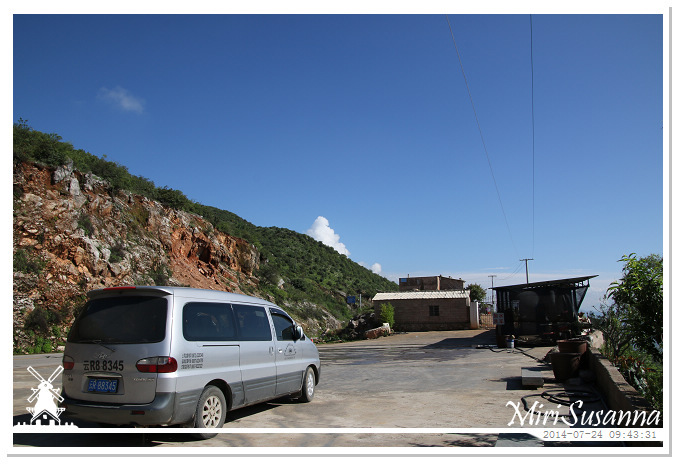 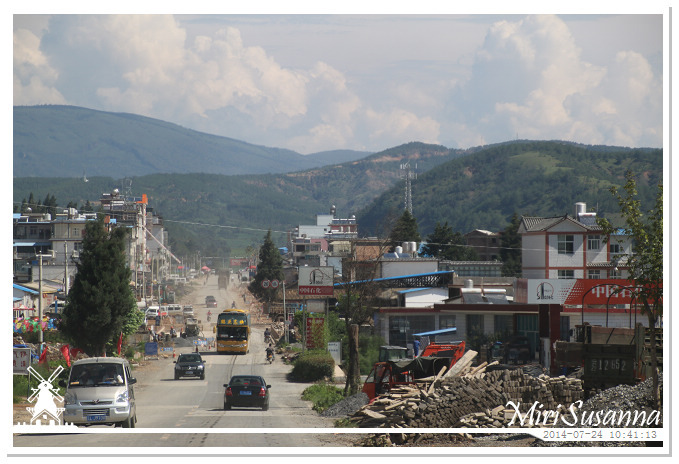 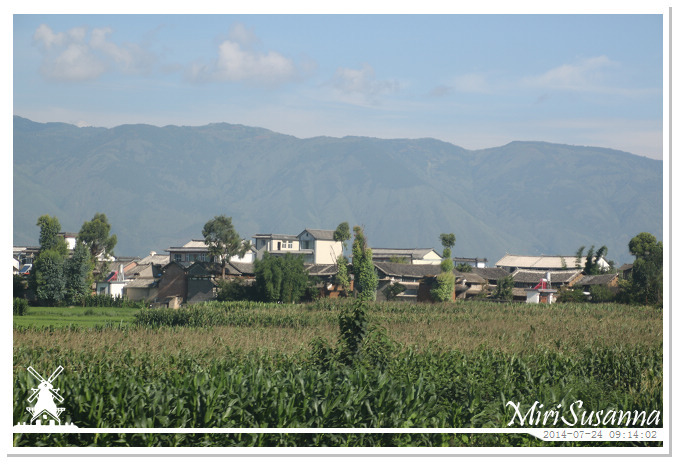 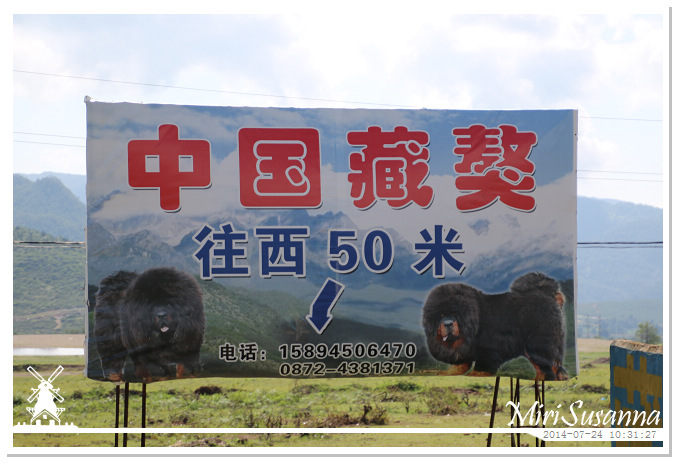 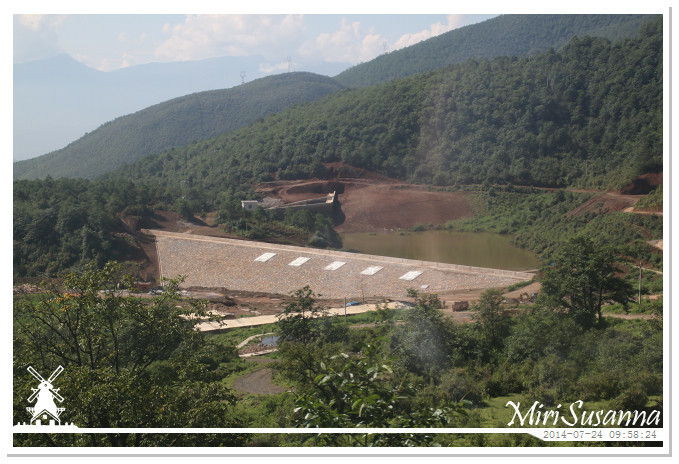 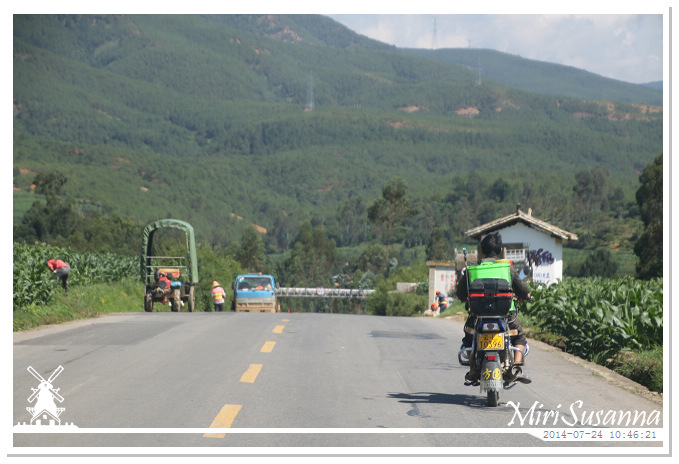 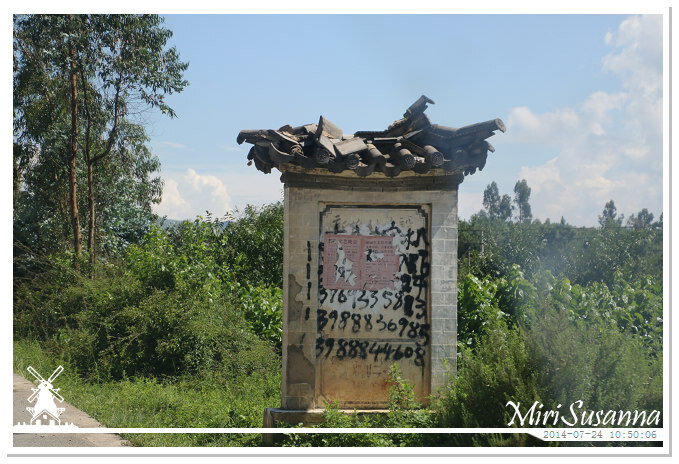 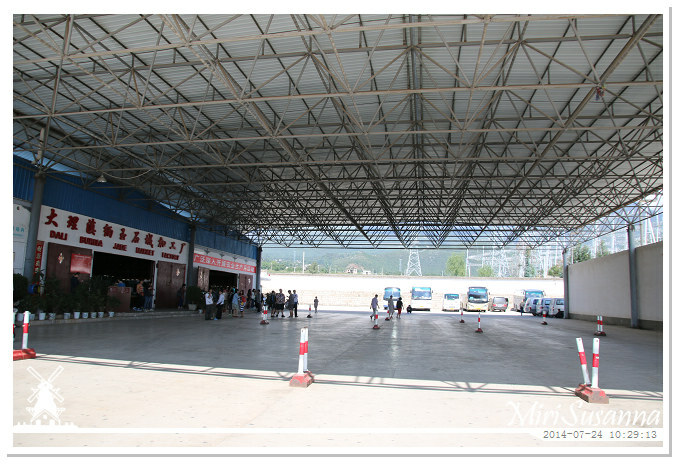 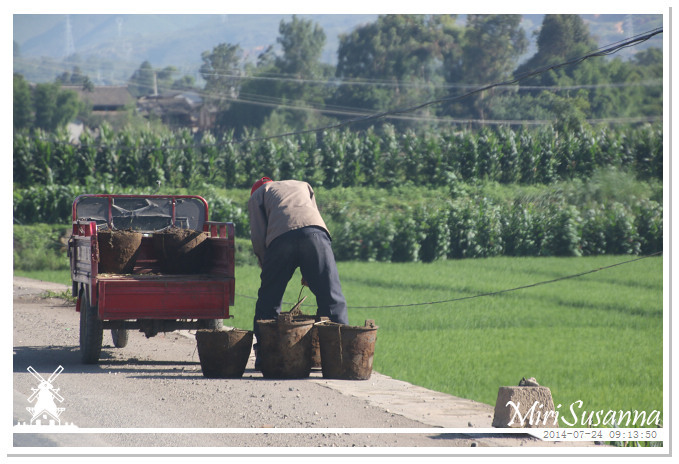 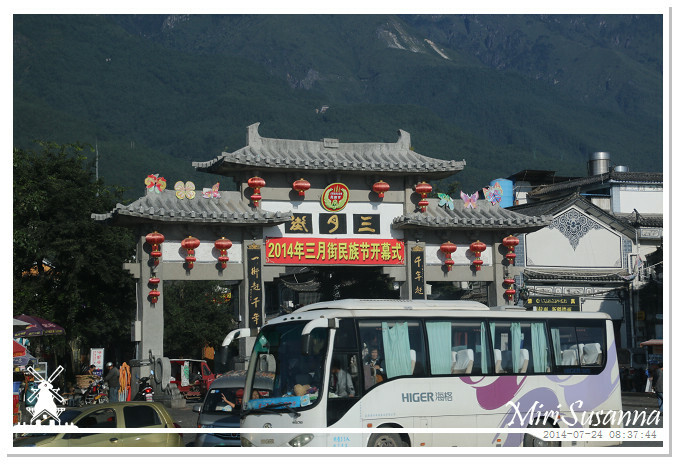 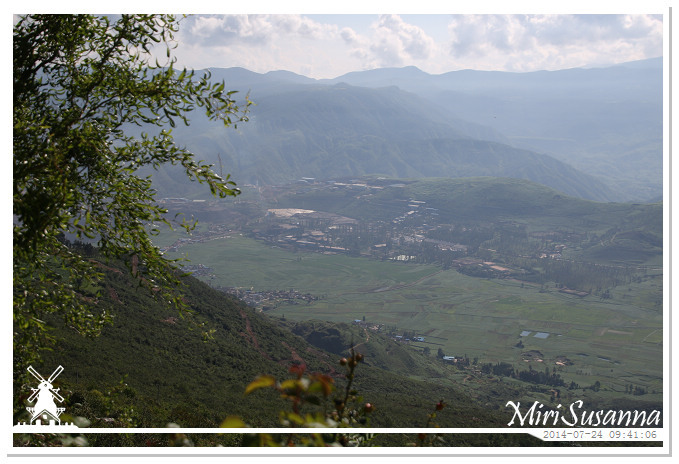 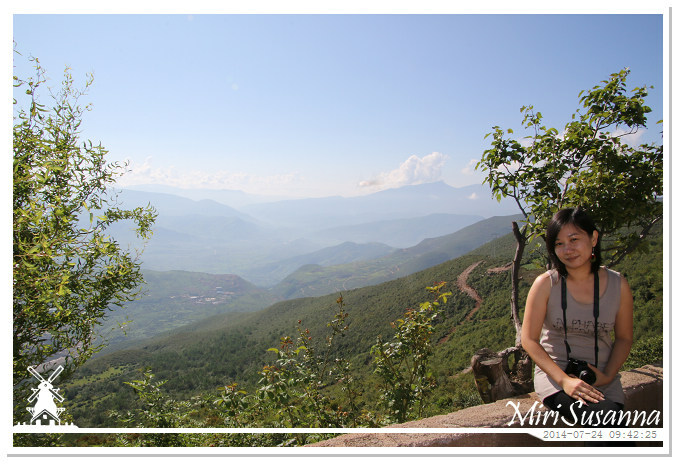 In the morning of July 24th, we travelled 190km via the S221 Provincial Road, from Dali to Lijiang. 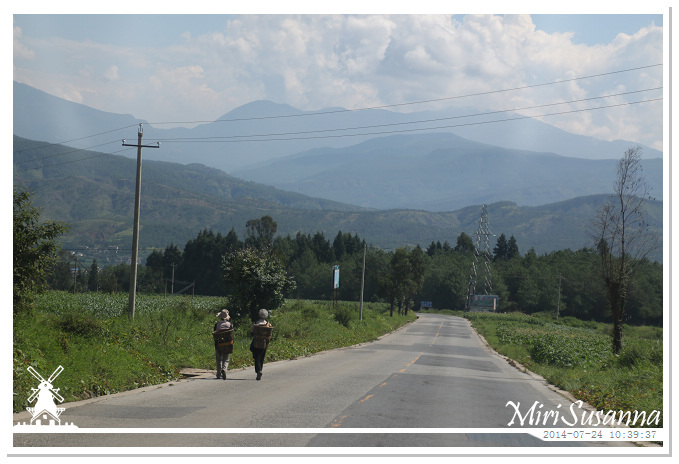 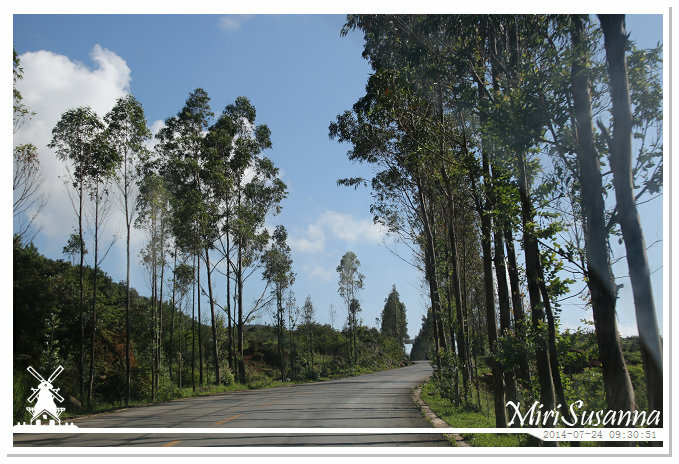 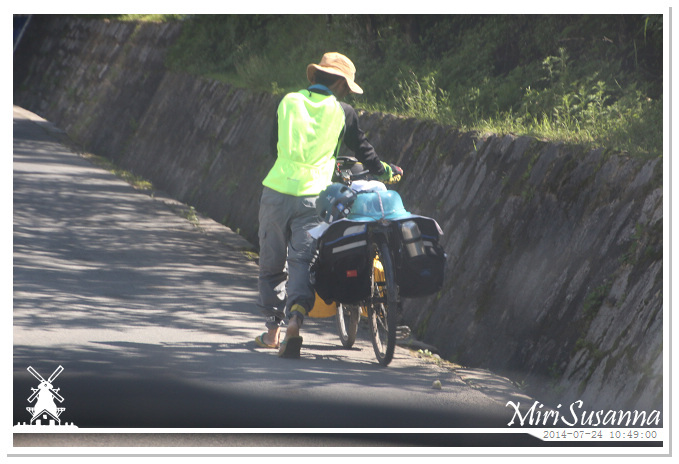 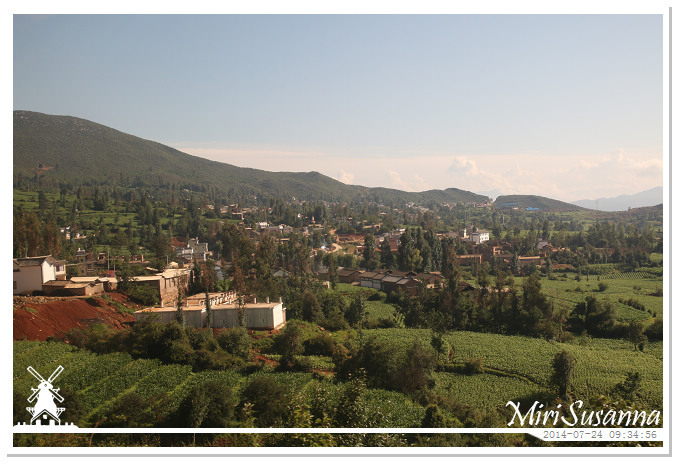 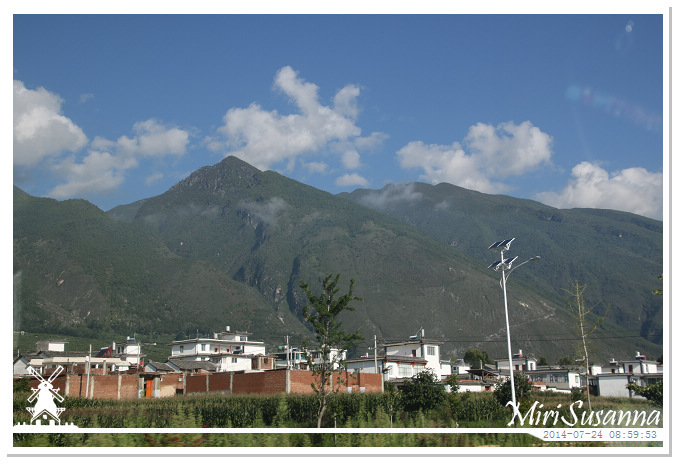 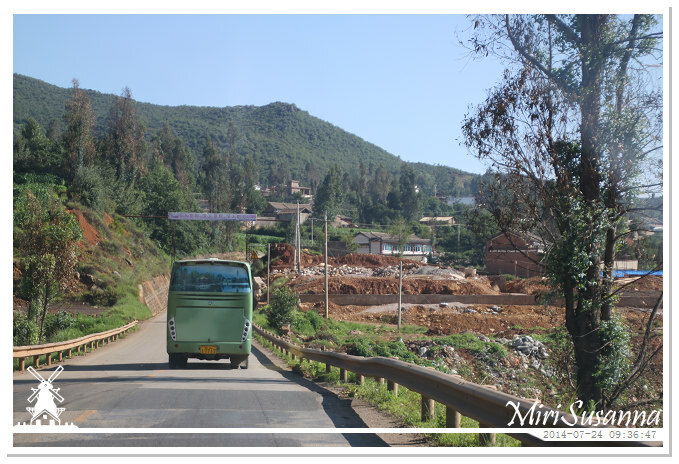 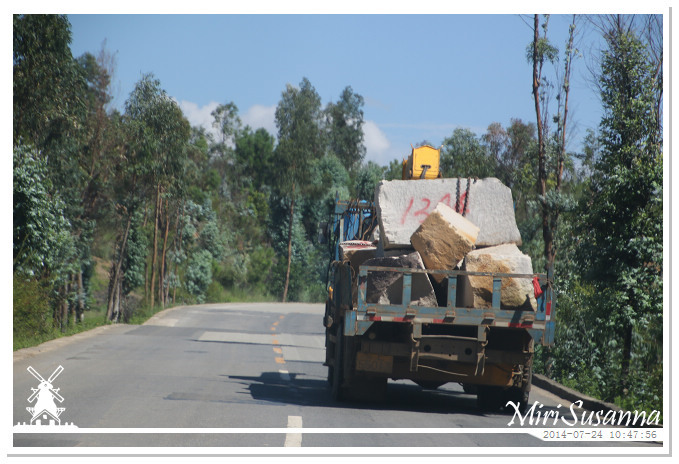 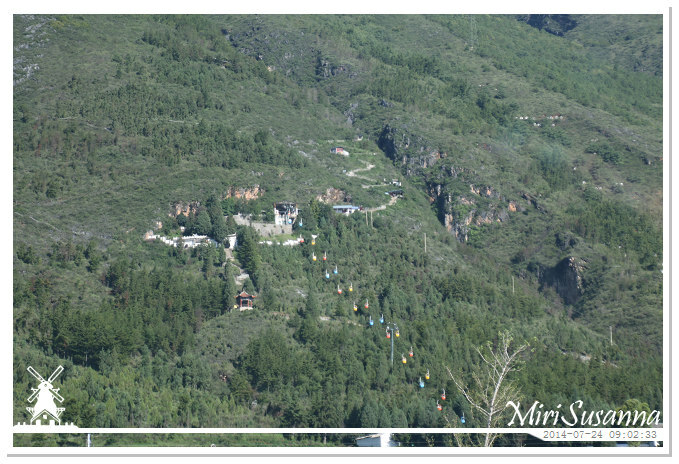 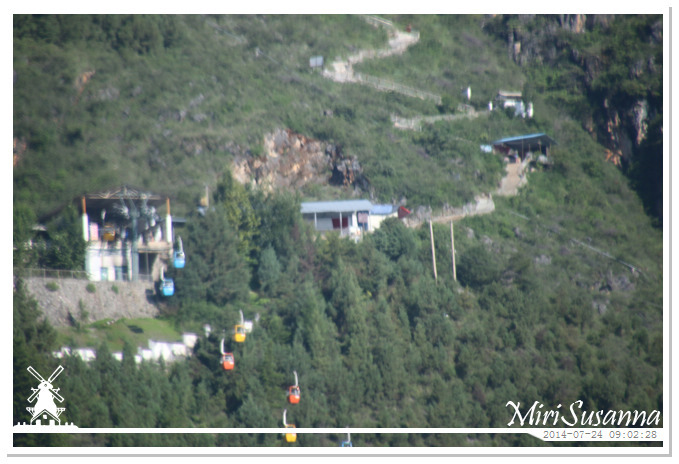 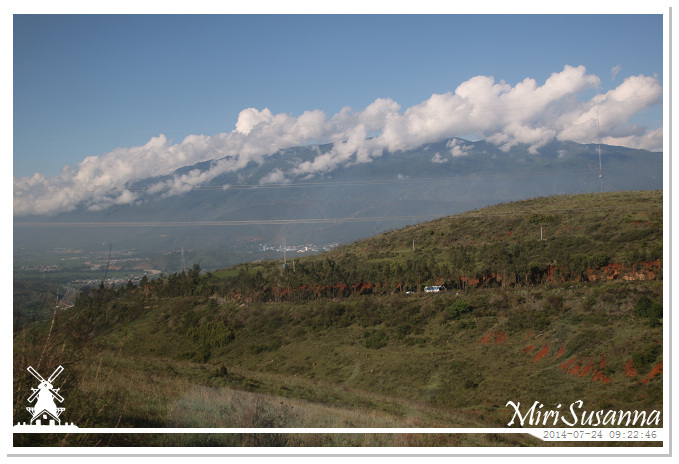 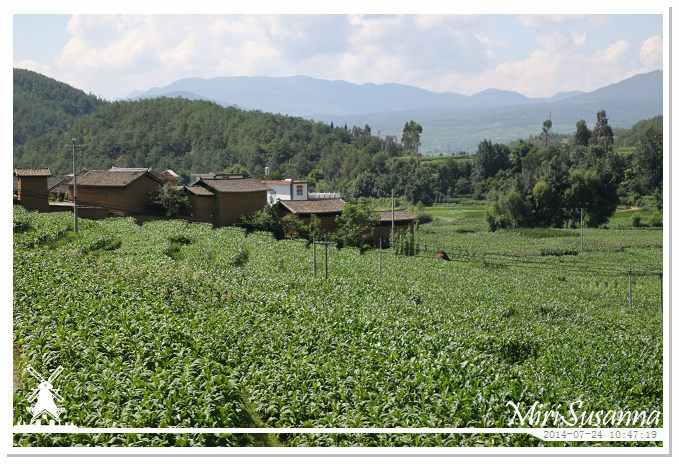 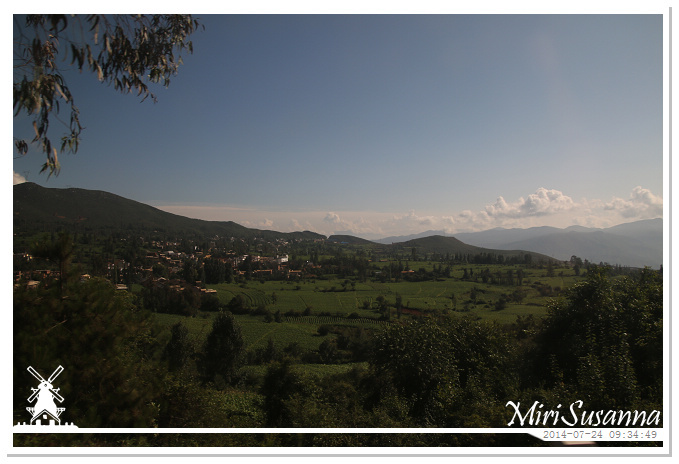 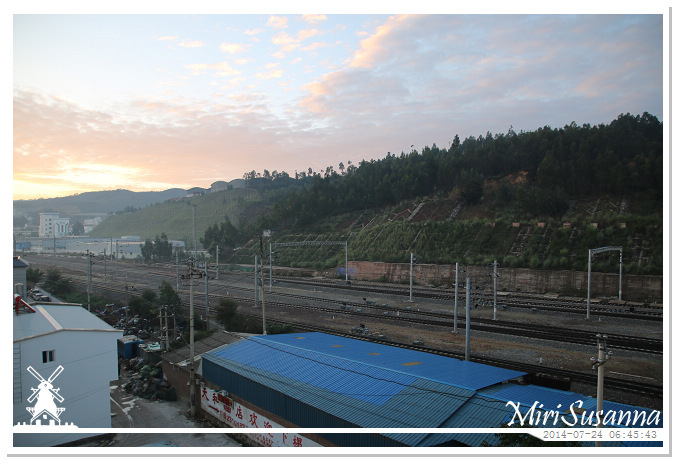 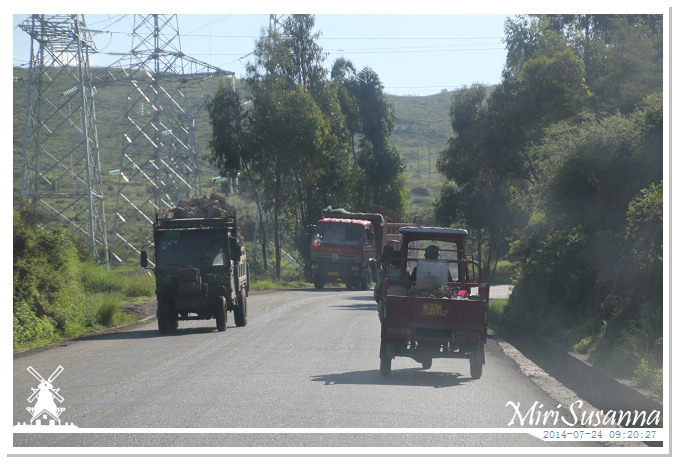 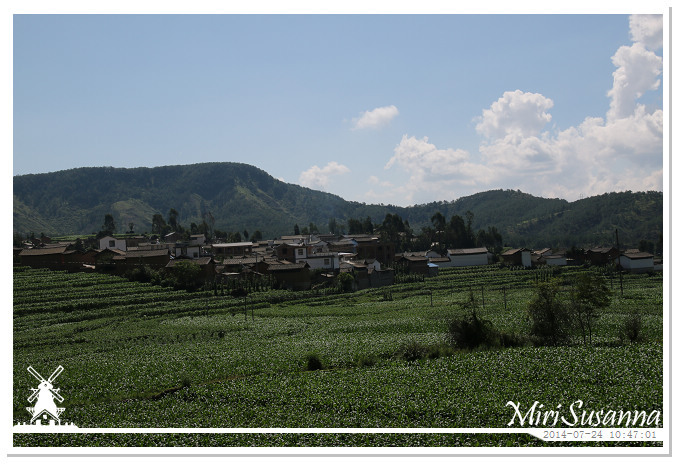 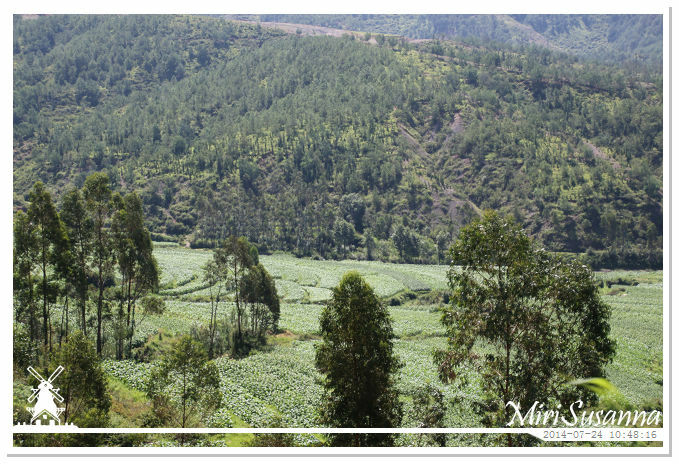 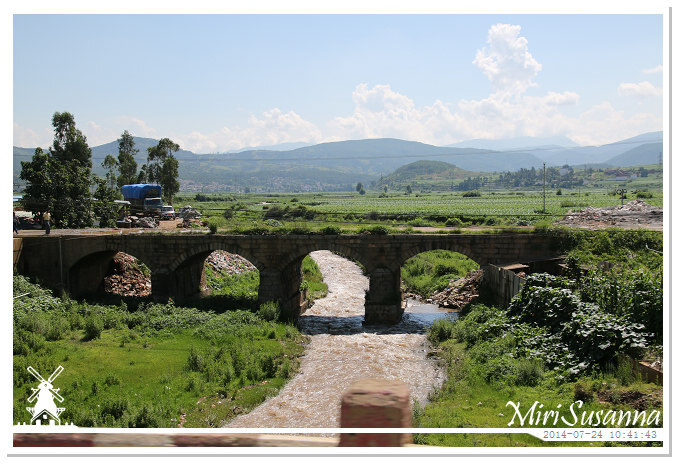 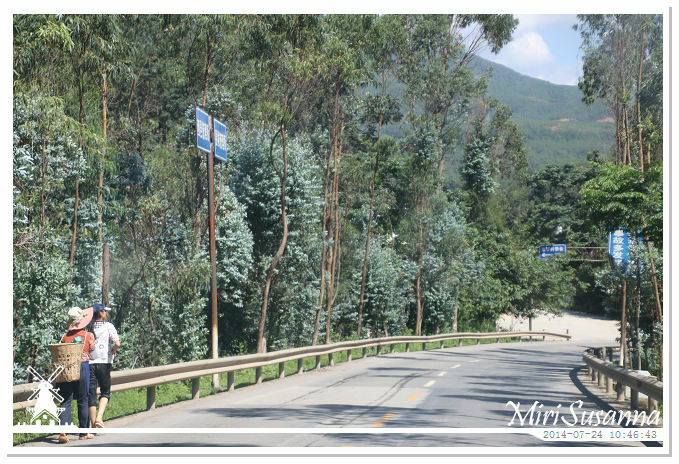 We’re almost 4.5 hours on the way, through the mountains and valleys, from altitude of 1,900 m to 2,400 m. This is the first introduction in our journey through the mountain area, and it could be seen as a preparation for the coming days to even higher destinations. 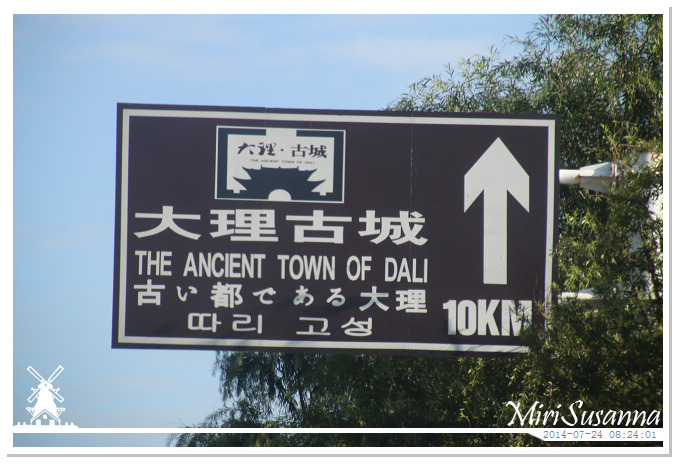 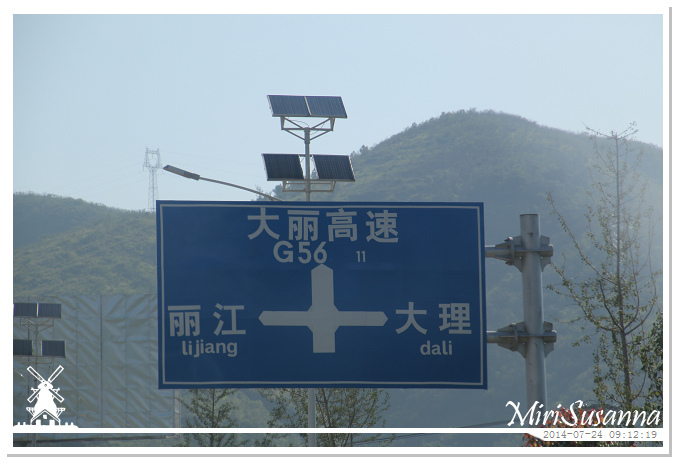 8am, we departed from Dali to Lijiang. 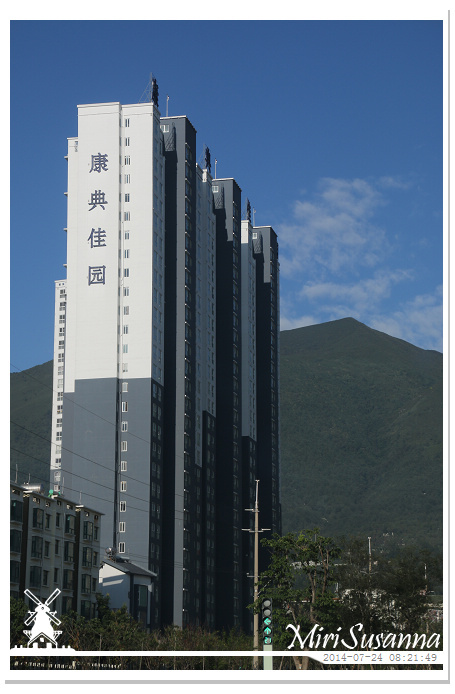 Grand Bay View International Hotel. 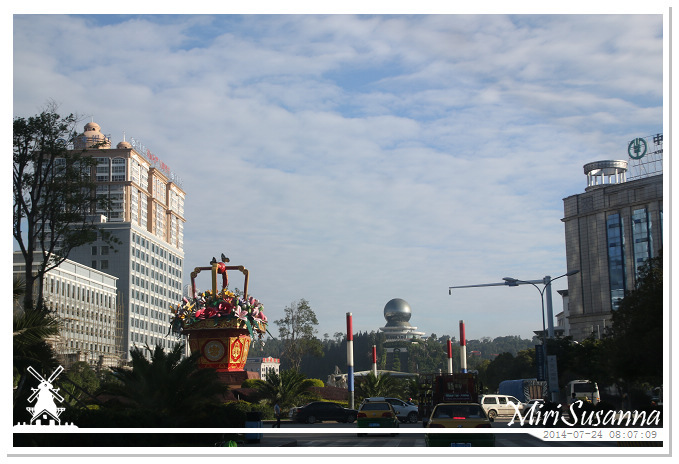 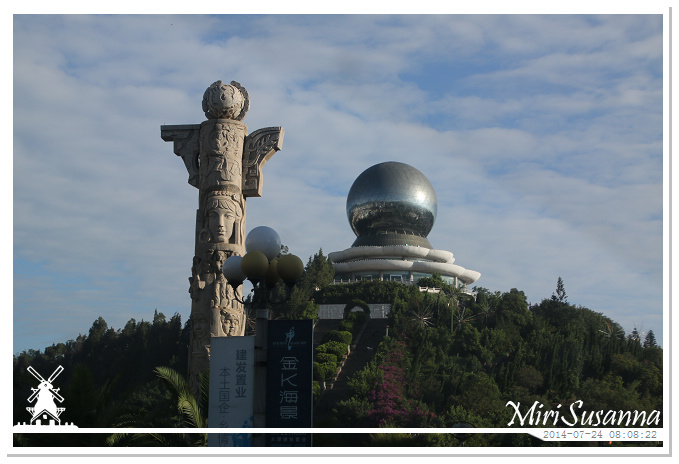 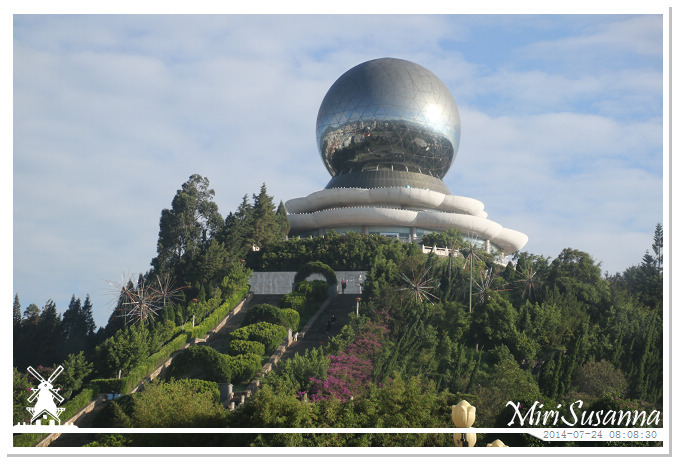 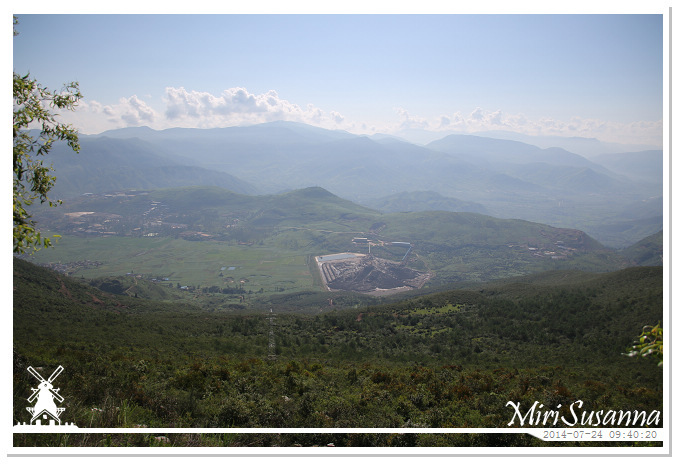 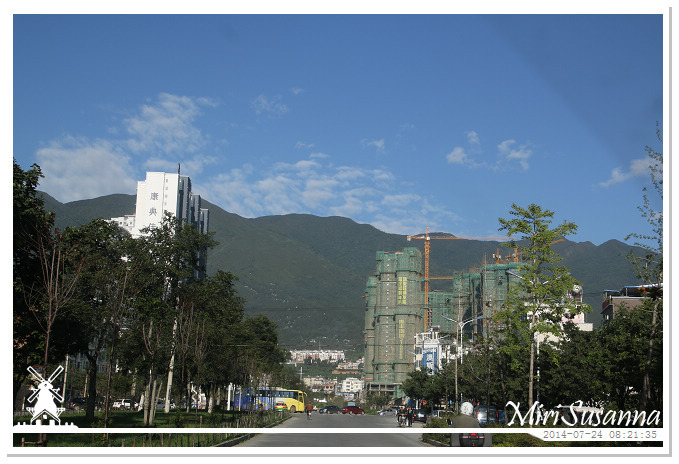 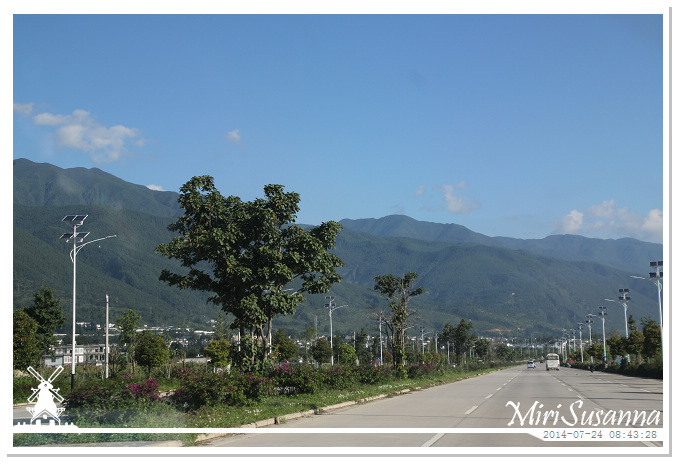 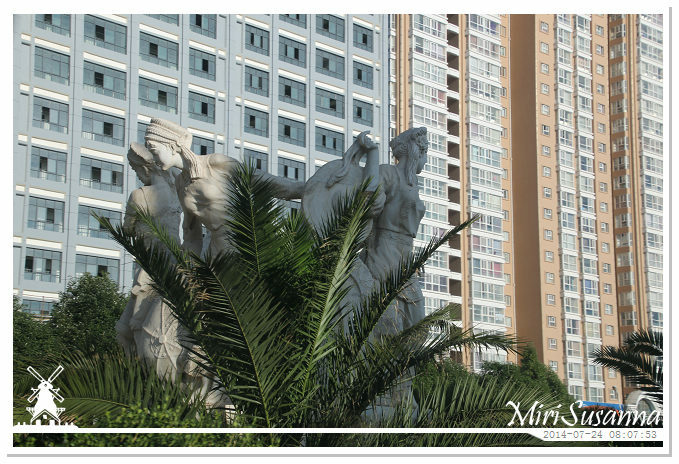 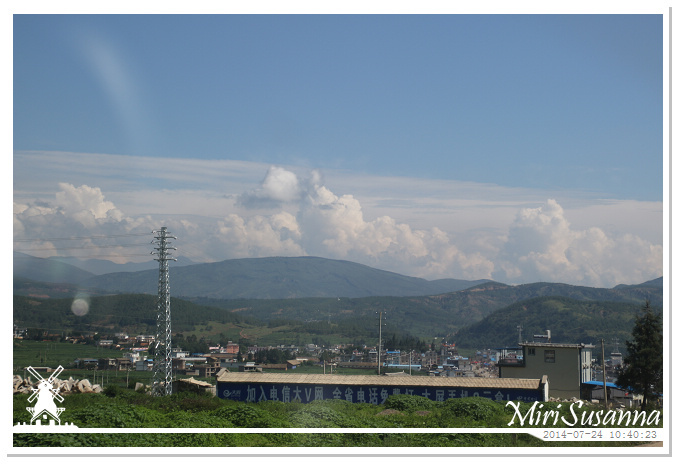 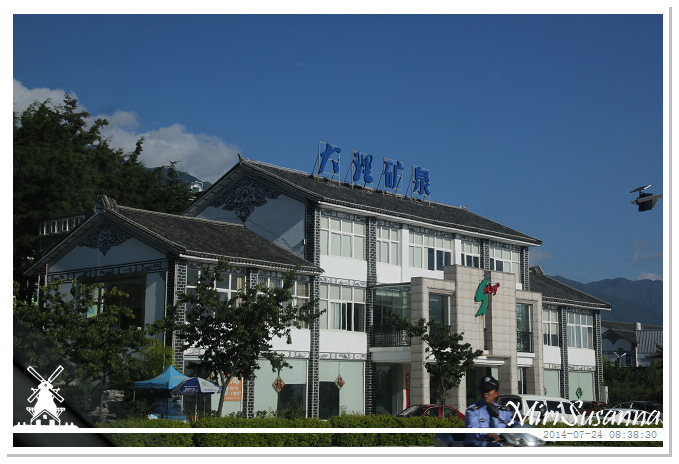 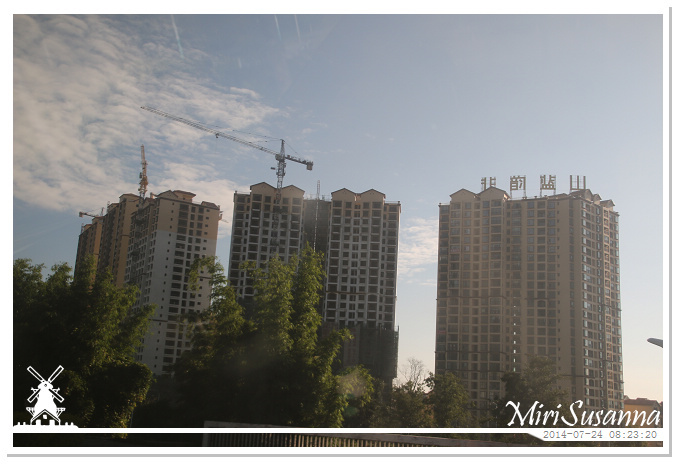 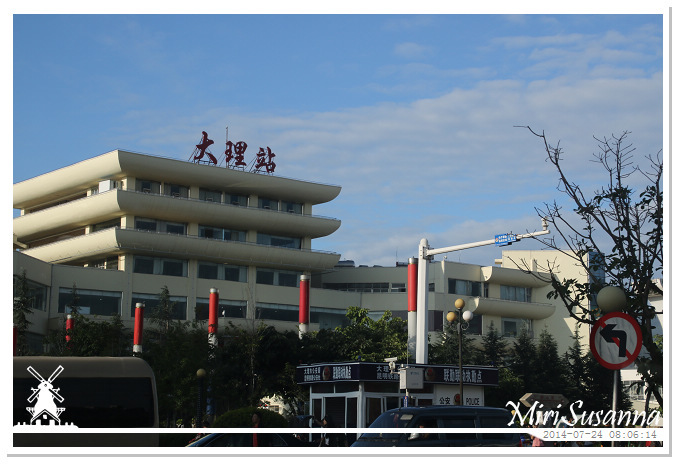 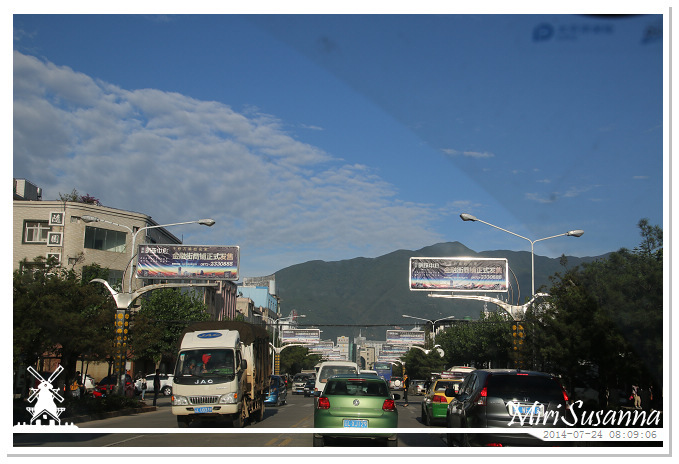 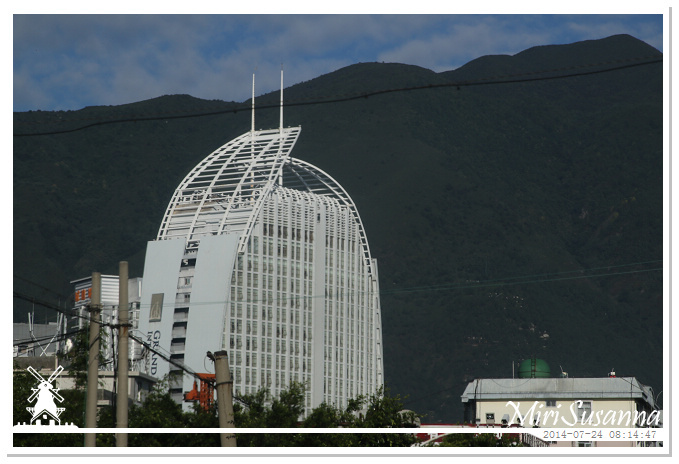 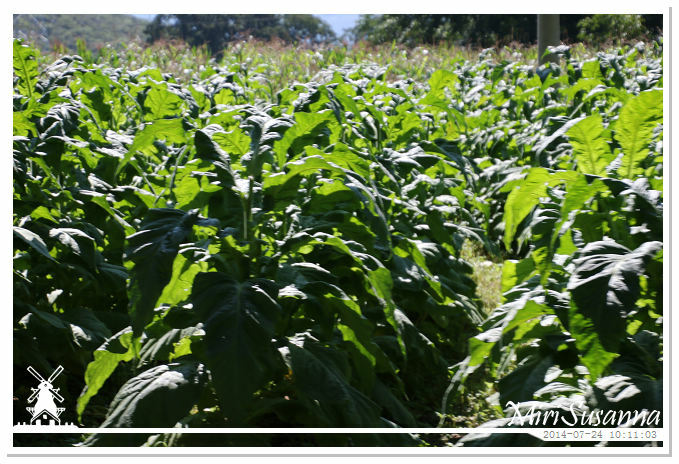 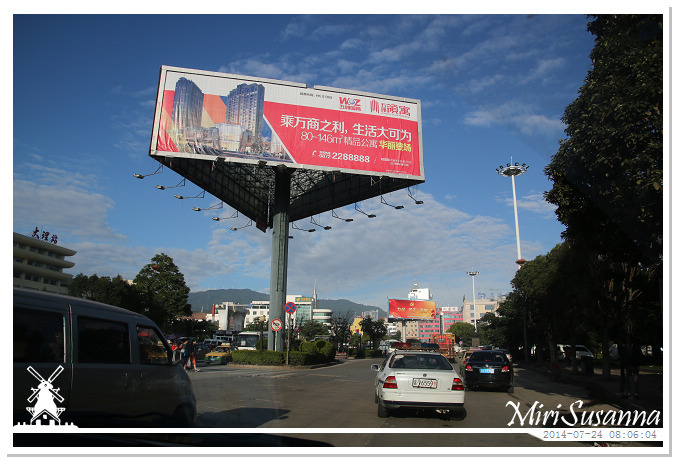 It’s a sunny day and Cangshan Mountain shows us his wonderful scenic. 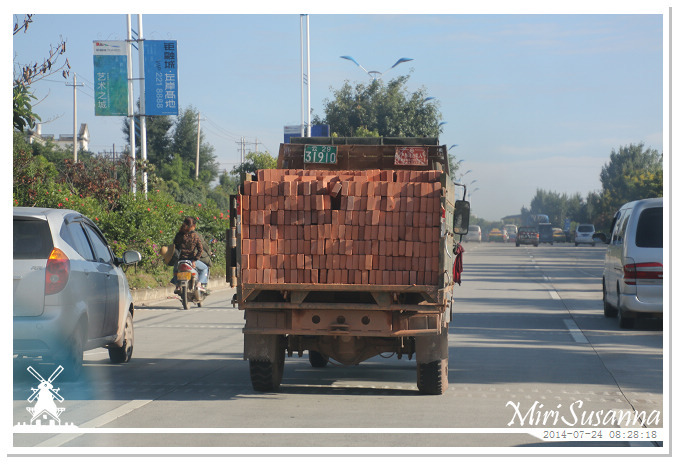 Small truck to transport bricks. 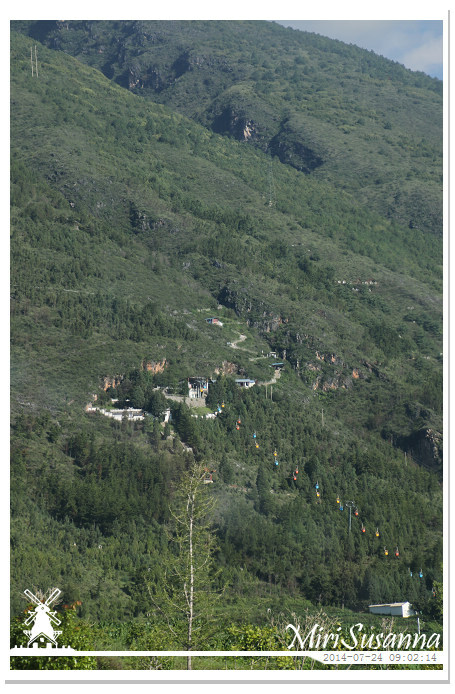 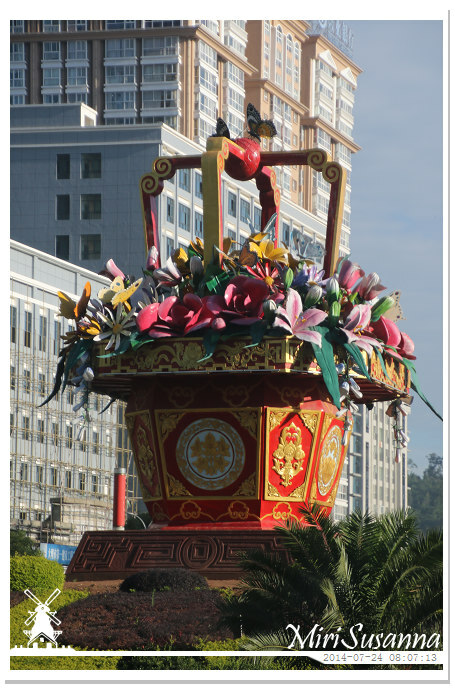 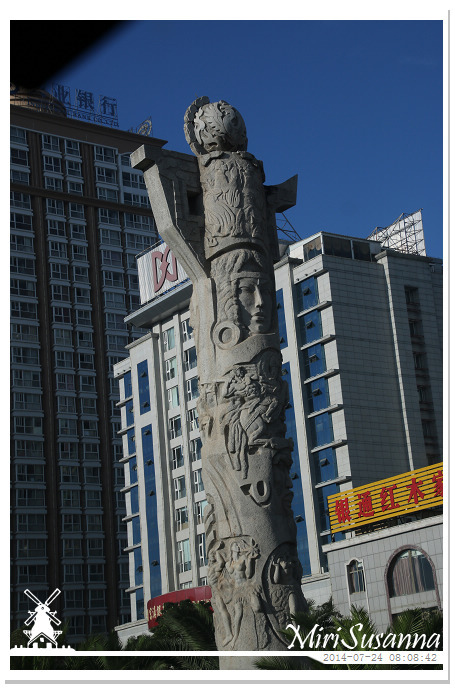 Two of the tree pagodas of Chongsheng Temple. 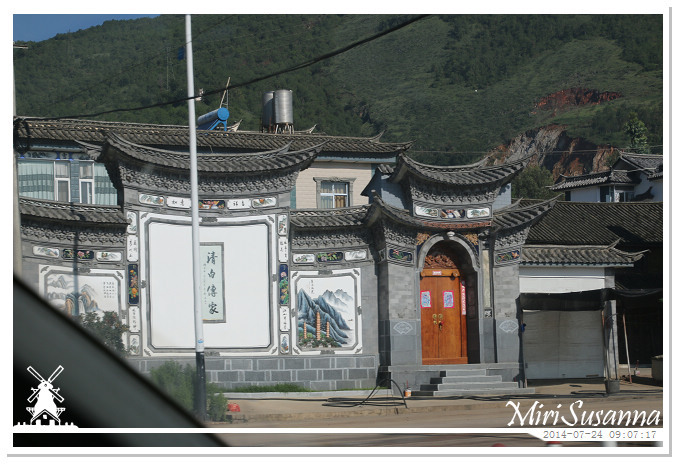 We’re passing Chongsheng Temple via tunnel, so totally without any scenic of Chongsheng Temple. 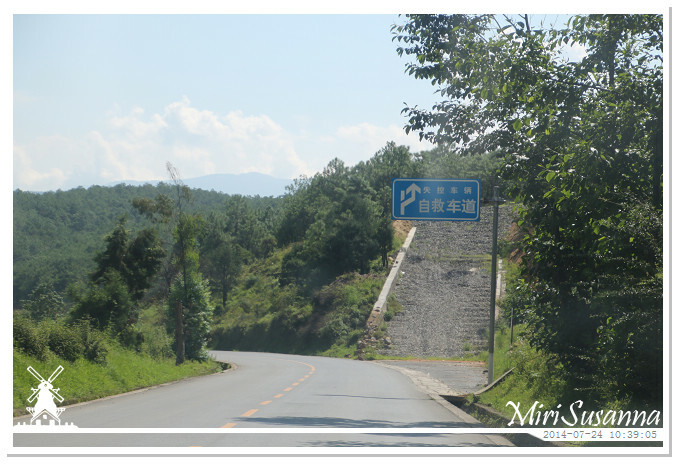 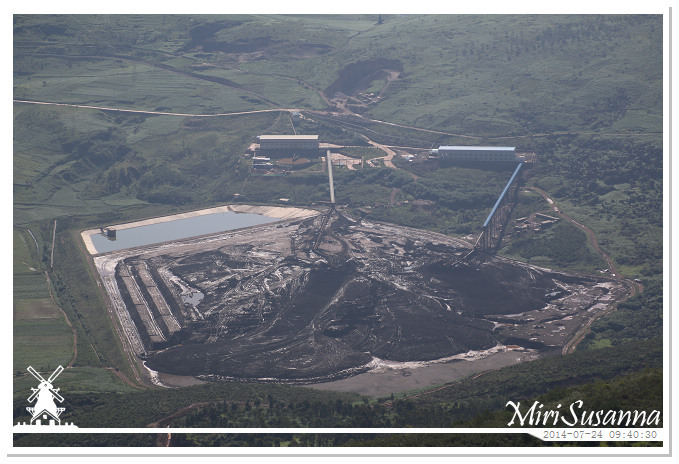 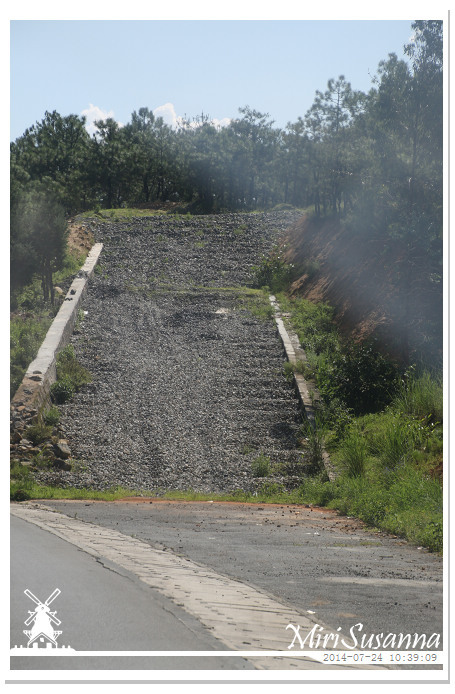 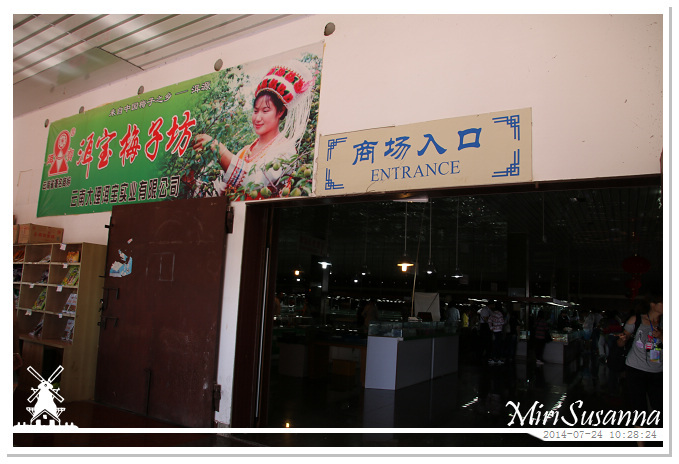 So no scenic without paying entrance fee, commercial purpose for sure. 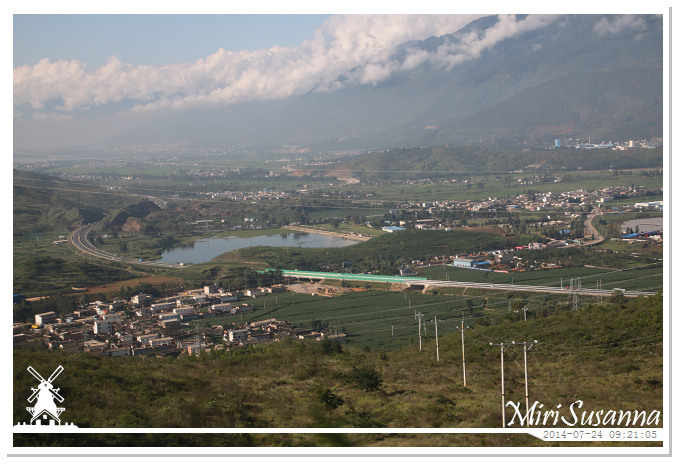 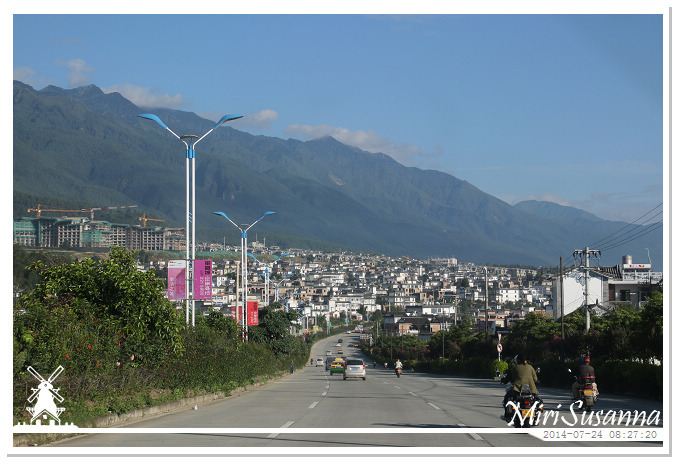 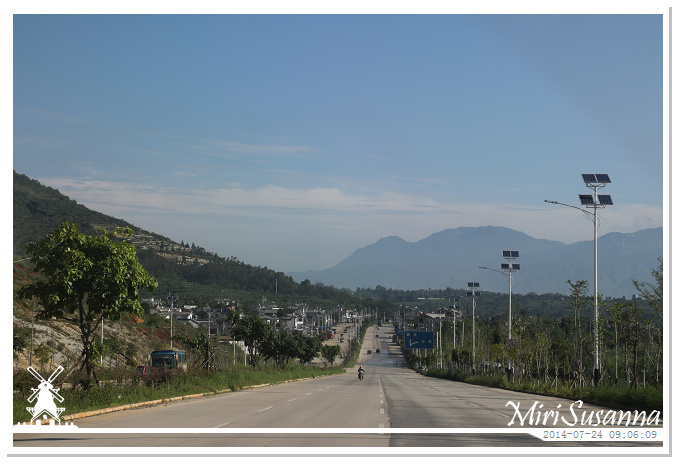 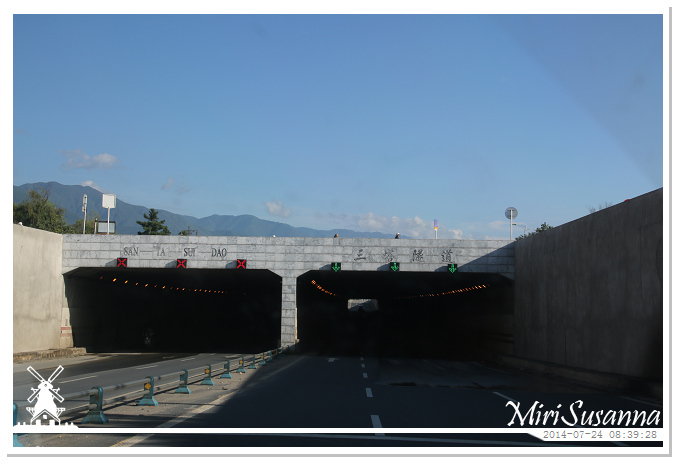 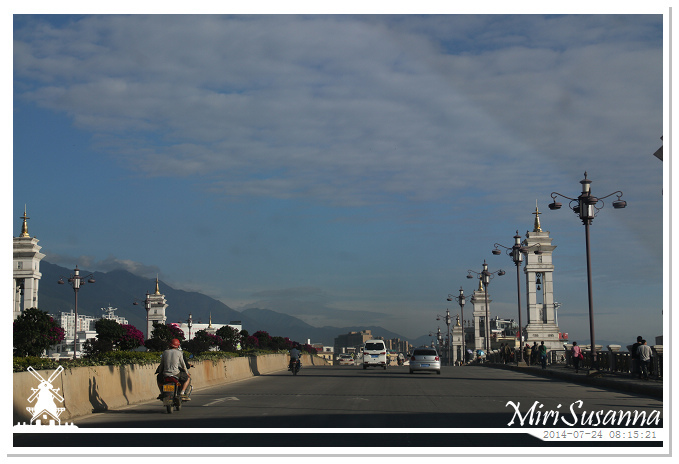 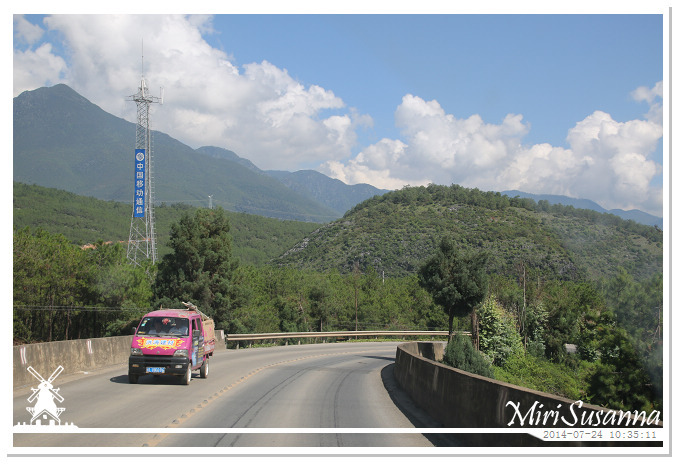 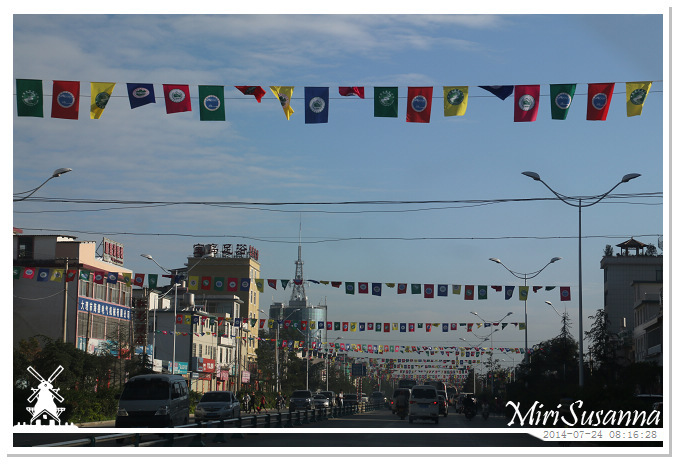 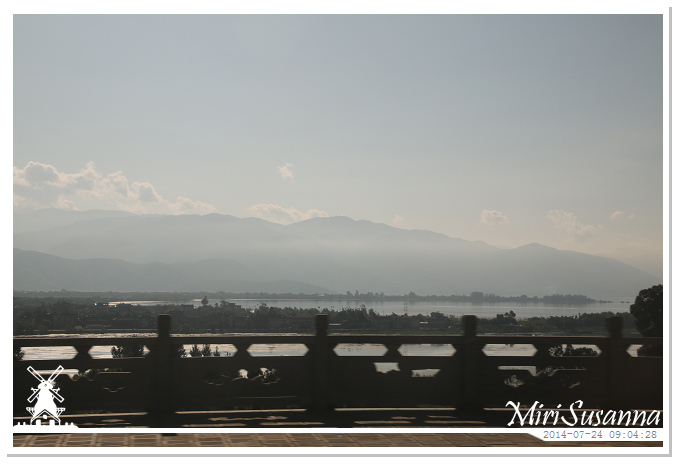 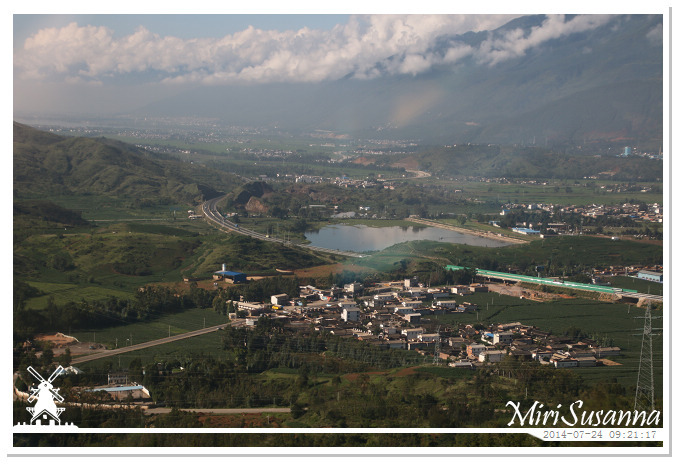 There’s the G5611 highway for Dali to Lijiang in view, and we’re travelling to Lijiang via the 211 Provicial Road. 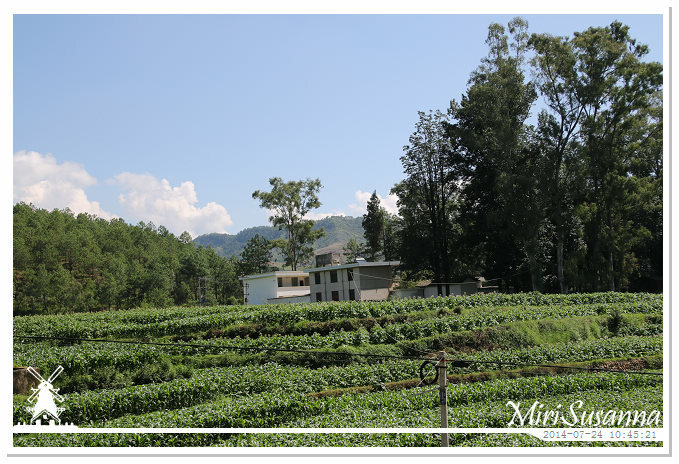 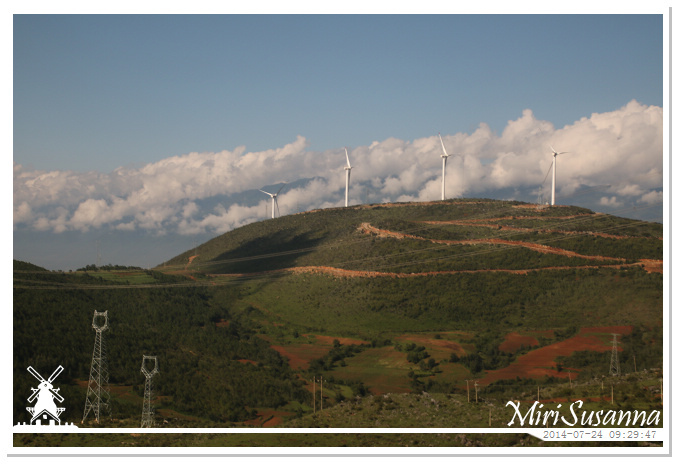 Everywhere green fields in sight during summer time. 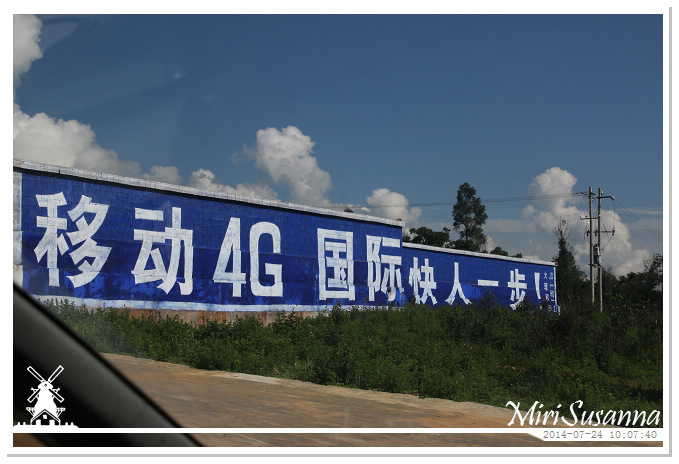 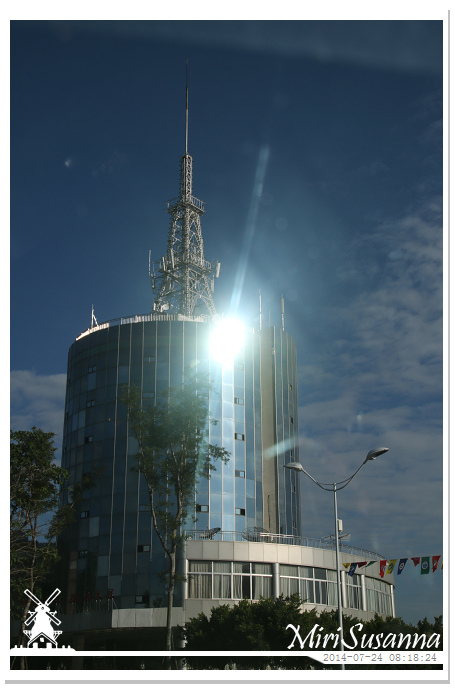 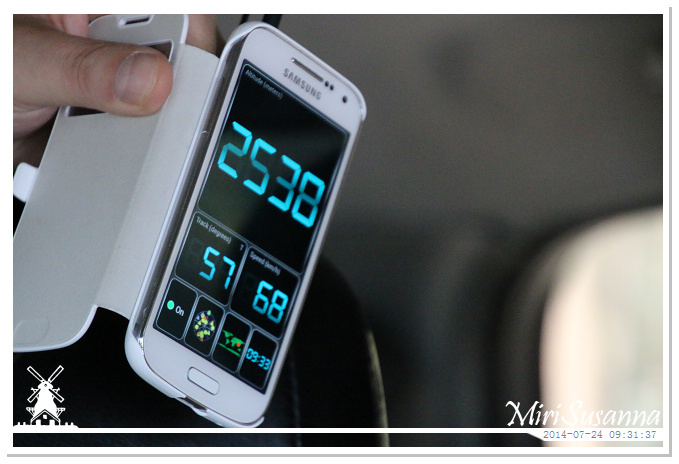 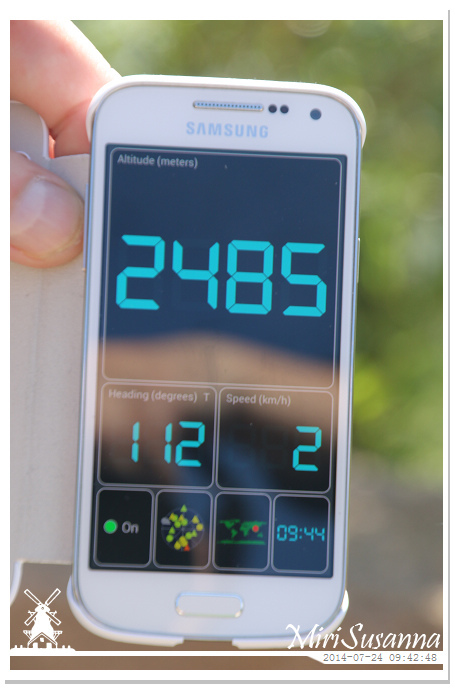 The whole provice is covered by 3G network and in town/city 4G. 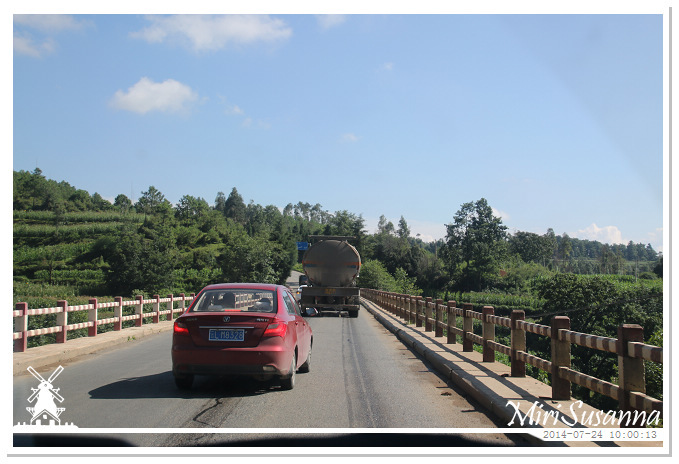 Emergency lane for vehicle losing control.